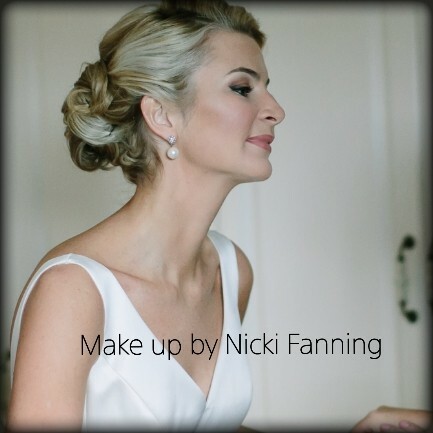 Nicki Fanning is a professional make up artist and hair stylist with 20 years experience in the industry. 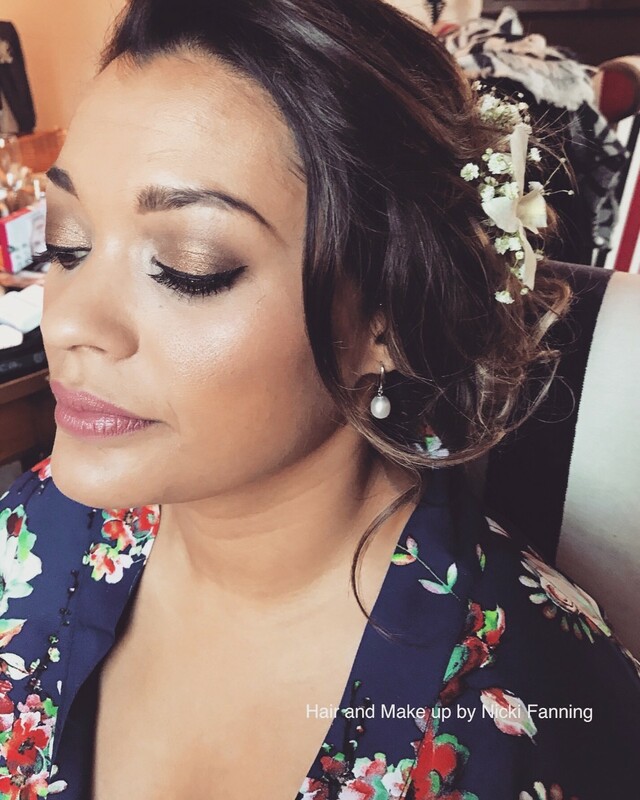 She has spent almost 10 years working in London, where she got to work in different areas of the industry from Film (Alfie) to Television for BBC, C4 and as regular hair/make up artist for MTV London. 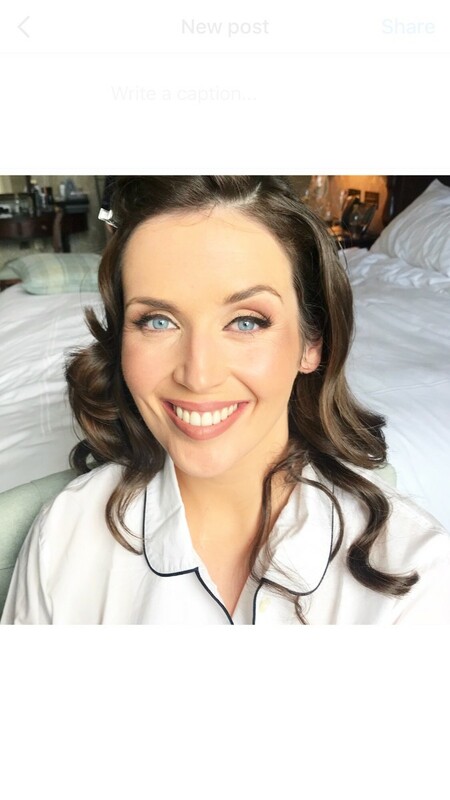 She is also a regular make up artist on RTE's 'Off the Rails' some of her Fashion work has brought her to work many seasons at London Fashion Week and Paris Couture Week, along with Fashion Shows for Jean Paul Gaultier in The V&A, and Alexander McQueen on many different occasions. 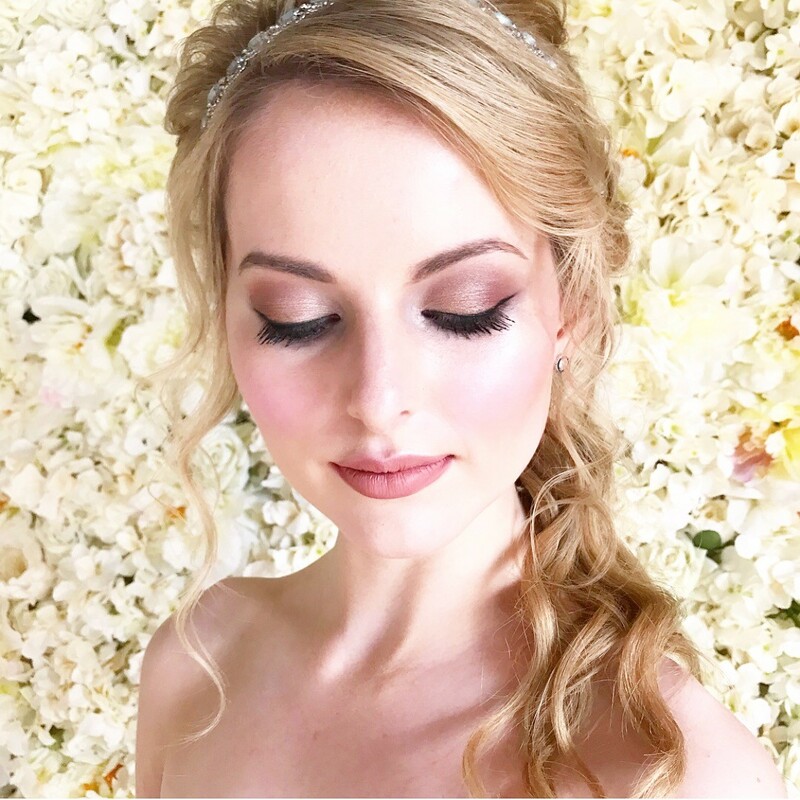 She has credited work in British 'Vogue' 'Instyle' and 'Image' to name but a few magazines featuring her work. 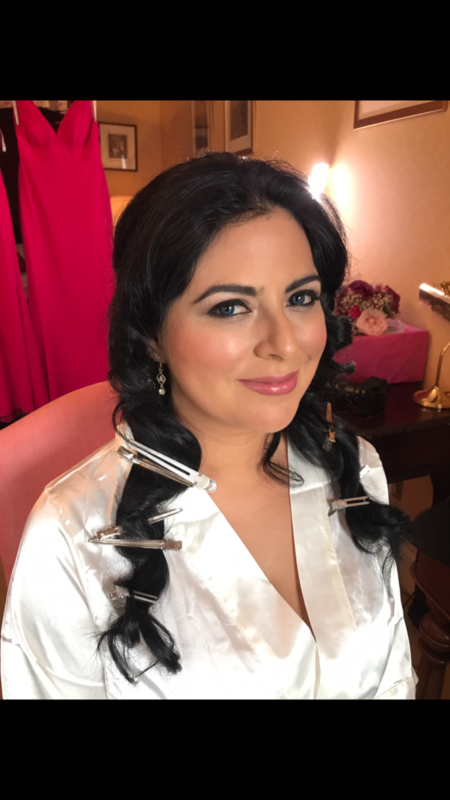 She is a favourite to many London Socialites and indeed Royalty for Princess Marie Chantal Pavlos of Greece who requests her work in London. 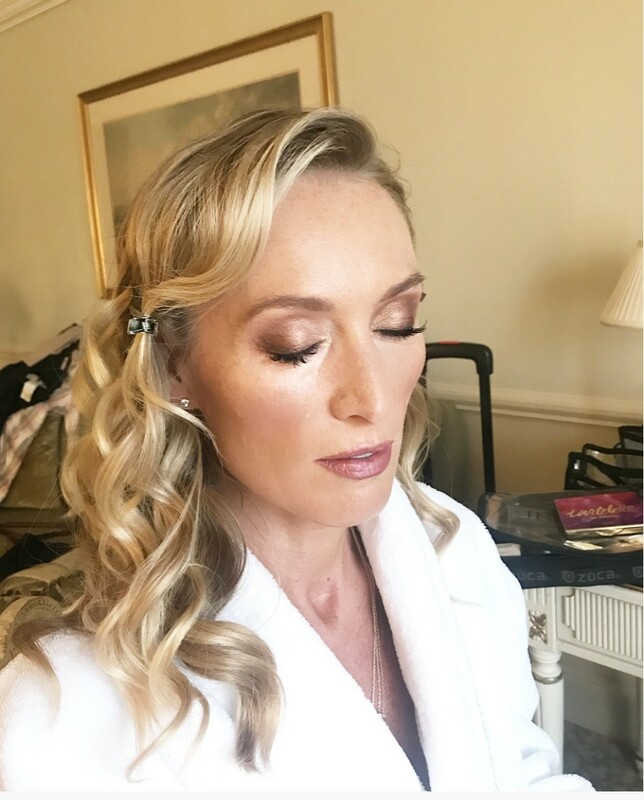 Some of the famous faces she has made up range from Robbie Williams, Russell Brand to our own Victoria Smurfit who has worked exclusively with Nicki For the past 9 years. 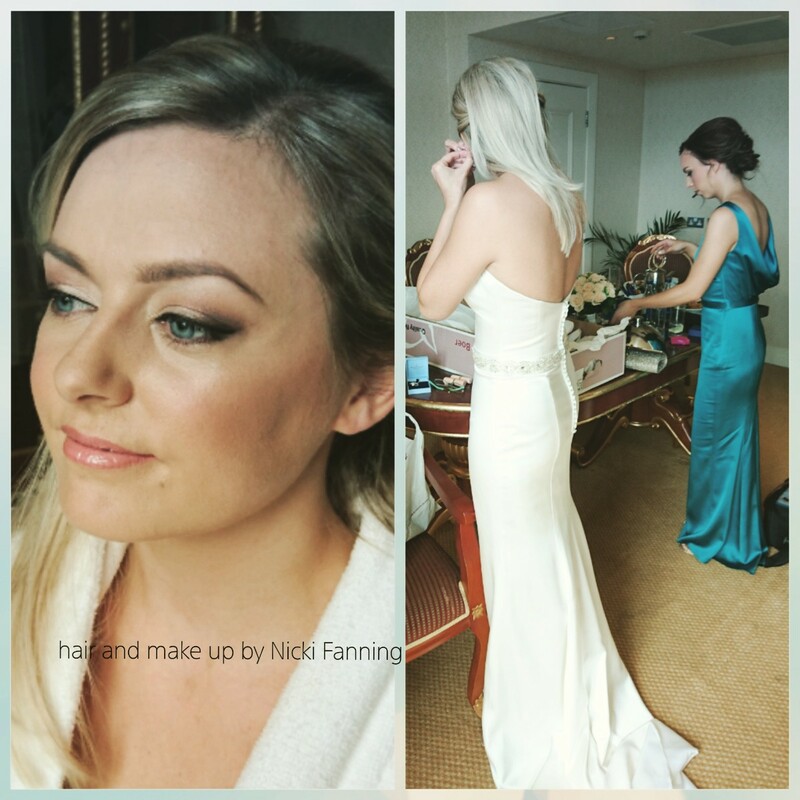 Nicki has covered many high profile weddings in many different locations including The Beckhams very own Beckingham palace for Victoria Beckham's sister Louise Adams wedding. 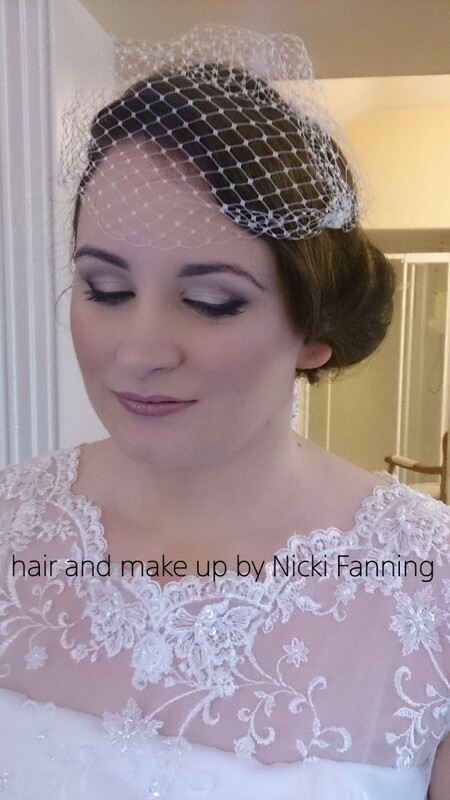 So it is a very vast and eclectic range of experience Nicki brings to her Bride's make up table and shares a huge wealth of experience along with a very stylised, and refined hand. 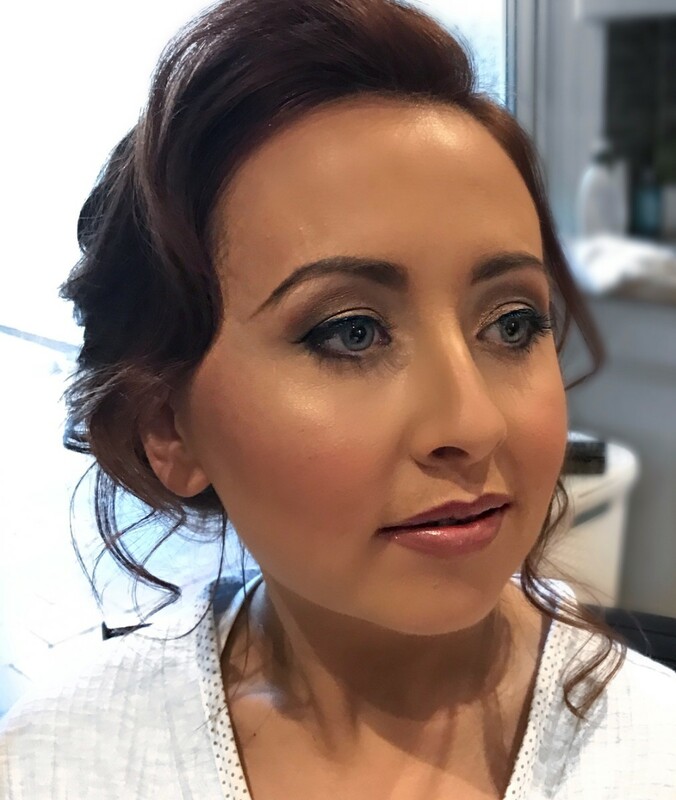 She prides herself in a very individual/bespoke approach to each and every bride working with every face in a different non-commercial style to design the perfect look. 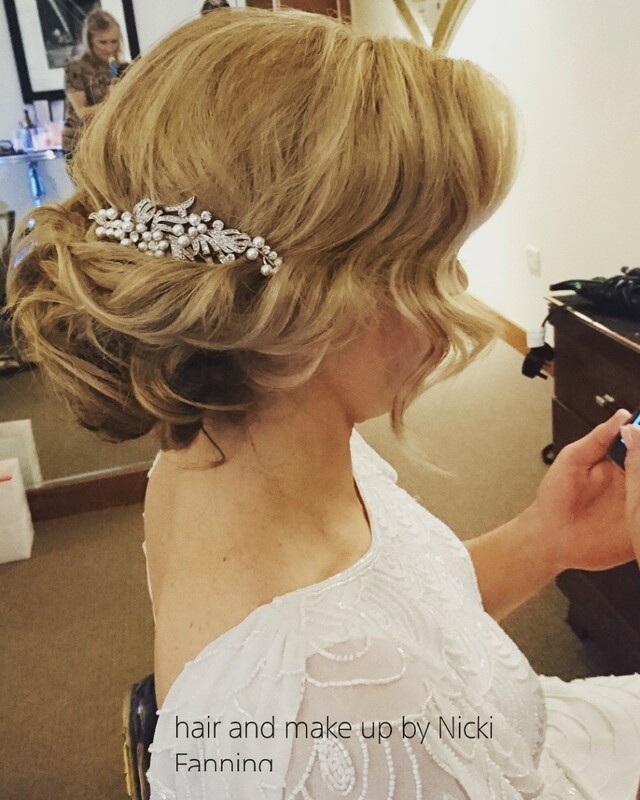 She favours a very modern approach to Bridal hair creating soft romantic flowing curls to classic upstyles. 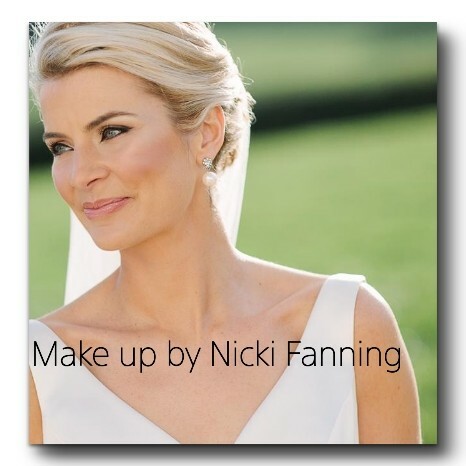 After 20 years working on weddings Nicki still loves collaborating with brides and getting to be a part of their wedding day is a huge joy and honour. 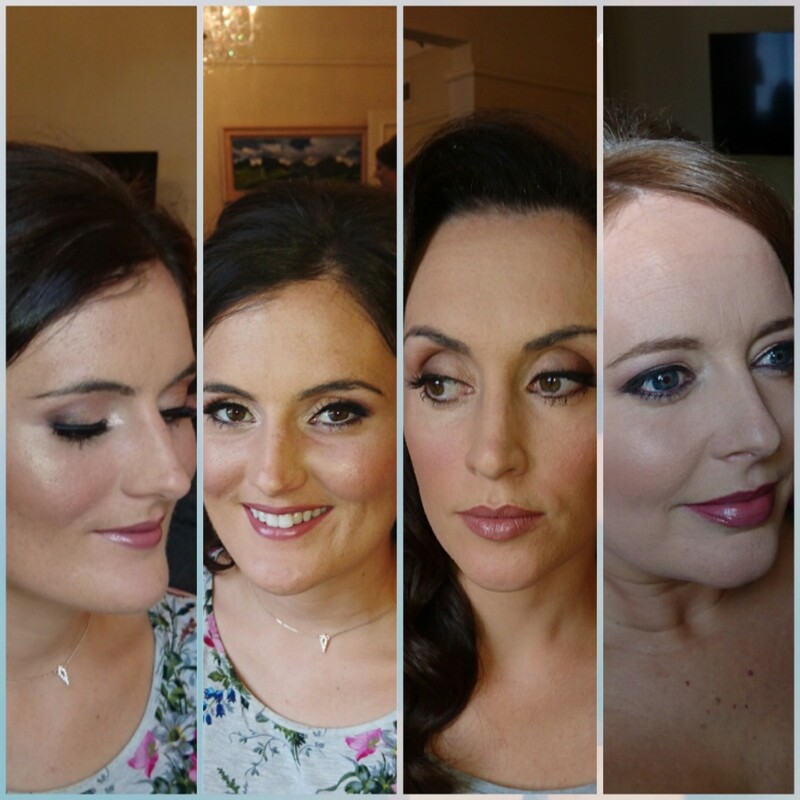 Nicki was hired to do my hair and makeup for my wedding in Kilkea Castle on 1st April 2018 and also for a pre-wedding function the day before. 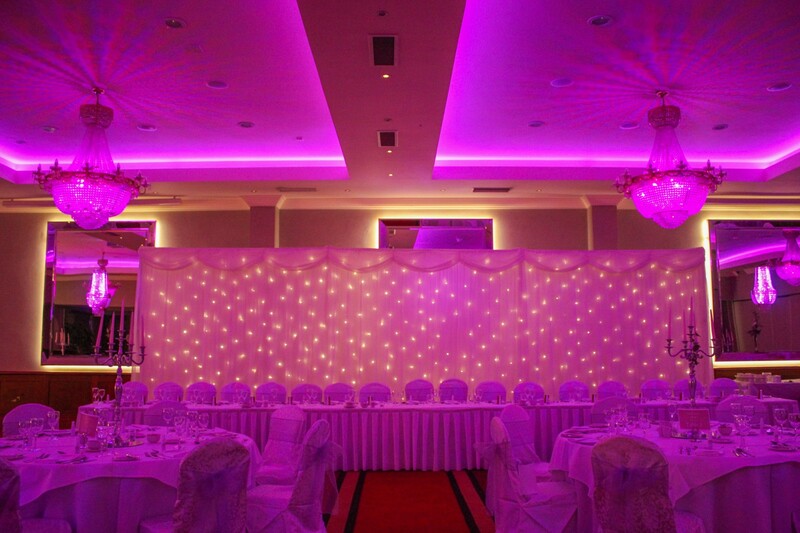 This was no ordinary wedding day, it was an Indian Irish wedding, where I wore full Indian attire. 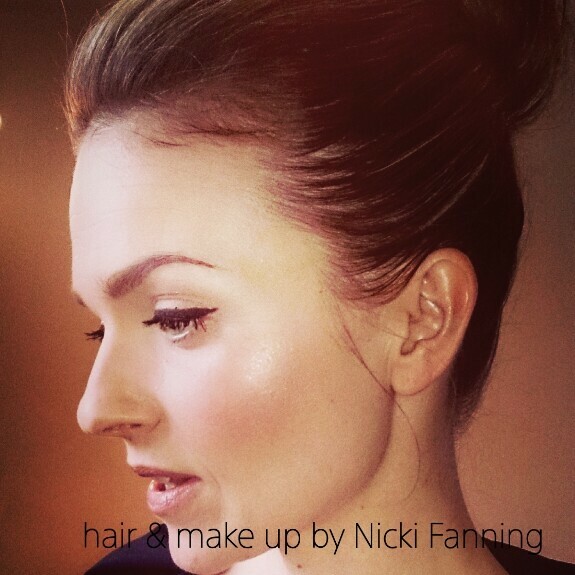 I picked Nicki as she was calm, professional, patient and most importantly, she listened to what I wanted. 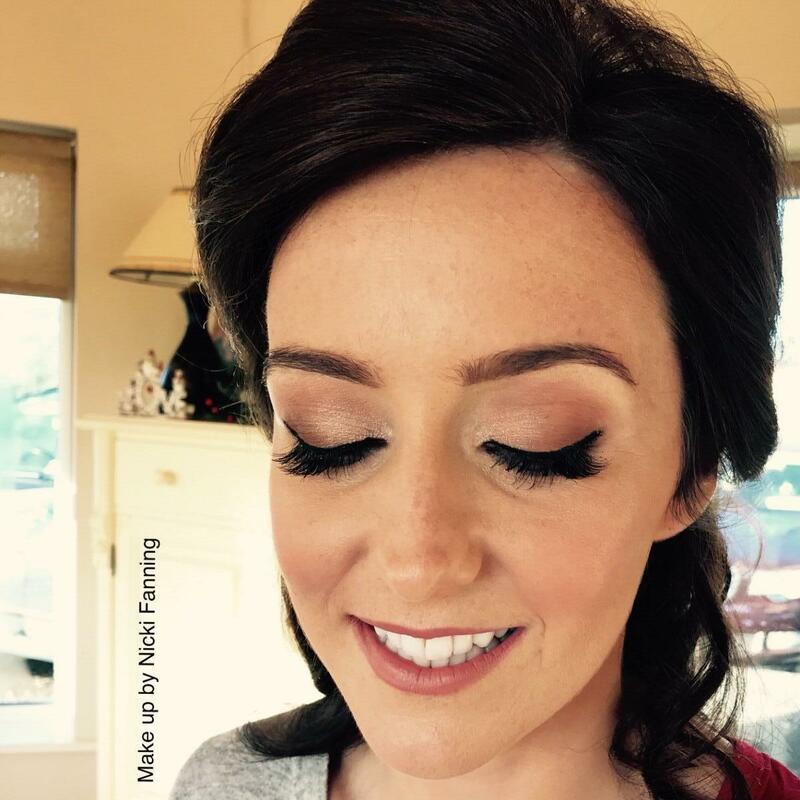 I am not used to a lot of makeup and I wanted to look as natural as possible. 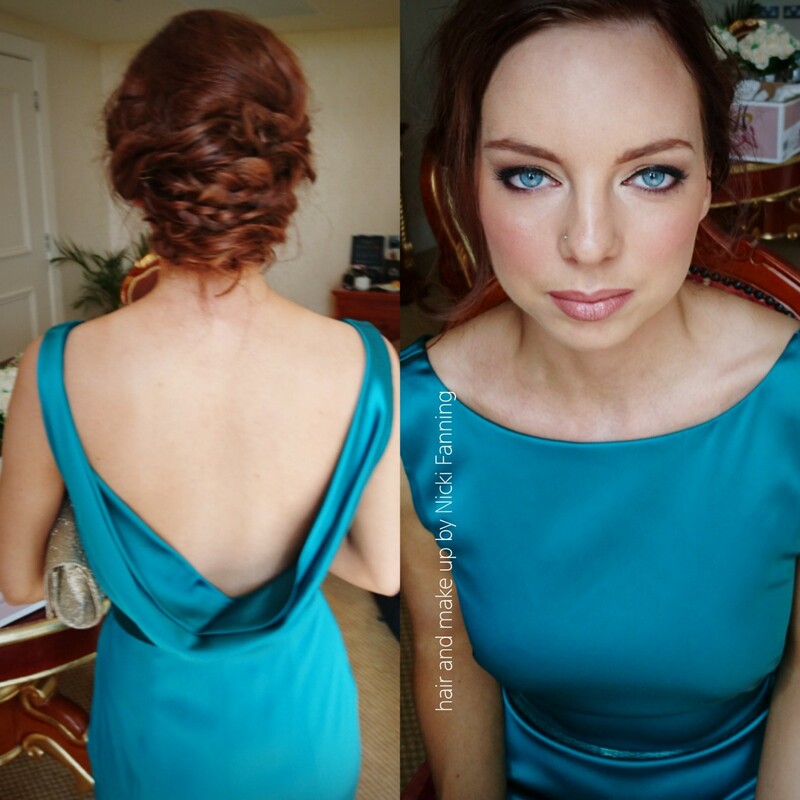 My makeup and hair was fllawless and everyone remarked how well it was done. 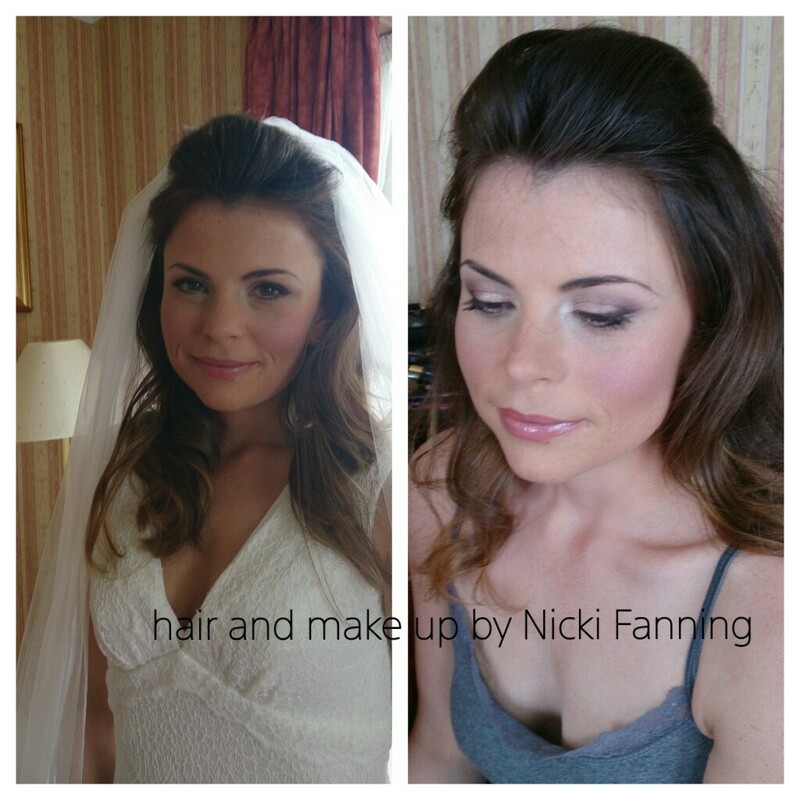 Nicki worked fast and efficiently on myself and others in my wedding party. 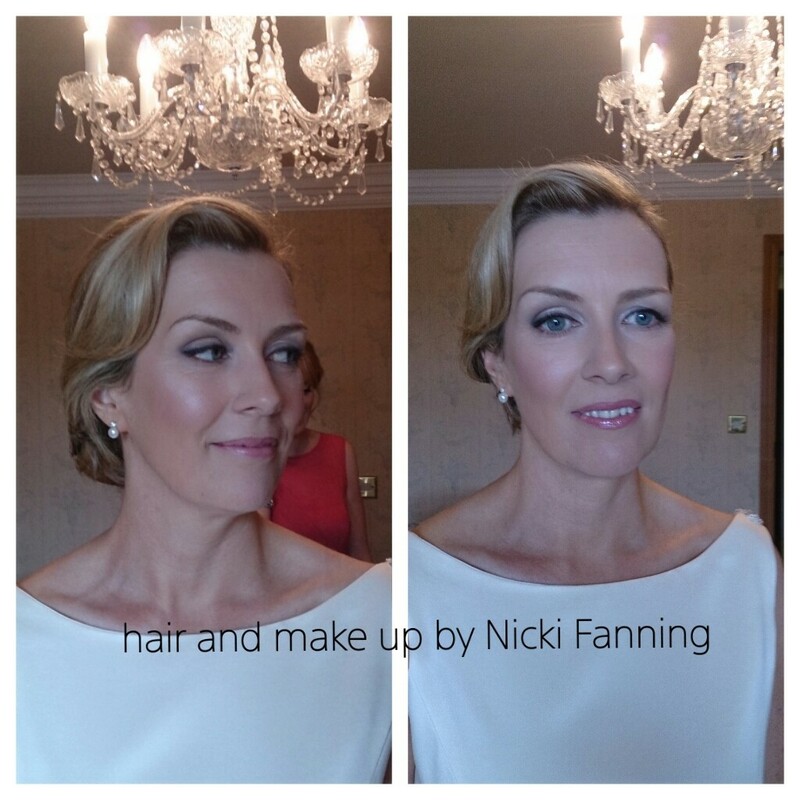 Nicki it was great to work with you! 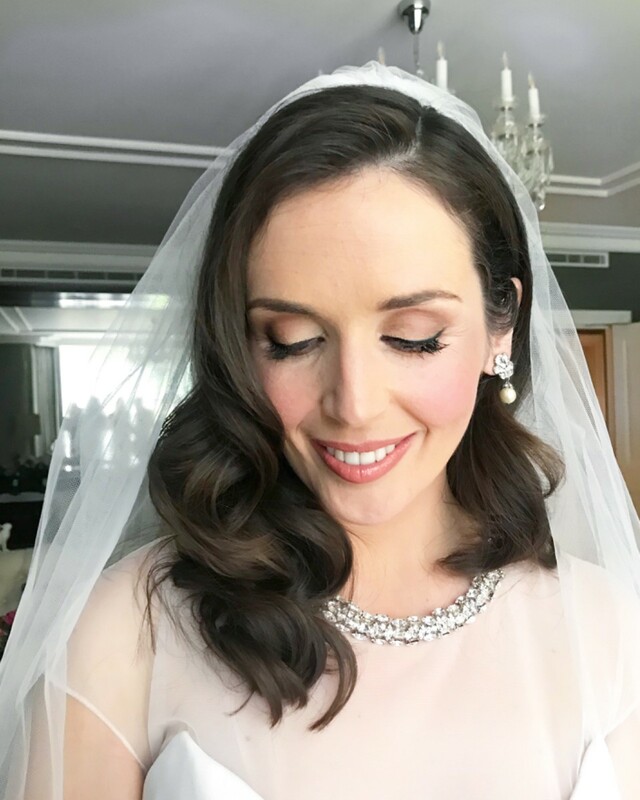 I would highly recommend her for any bride. 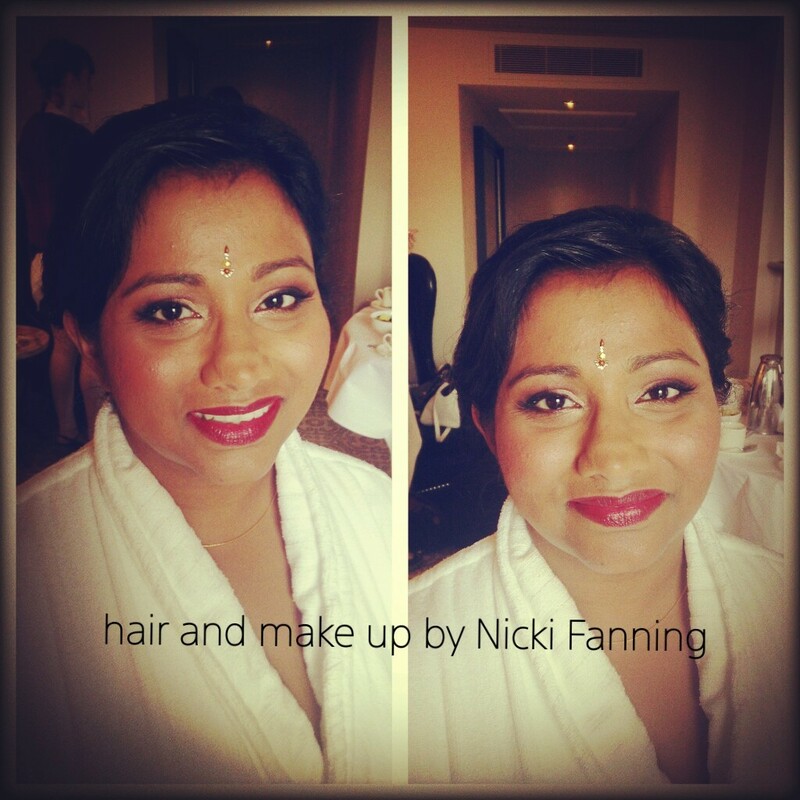 Thank you Nicki for making me look like a million dollars. 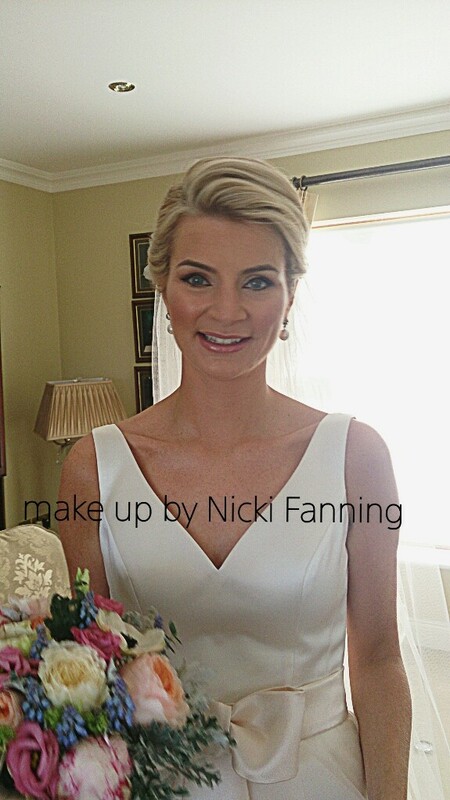 Nicki provided the make-up for myself, my bridesmaids, my mother and mother-in-law for my wedding. 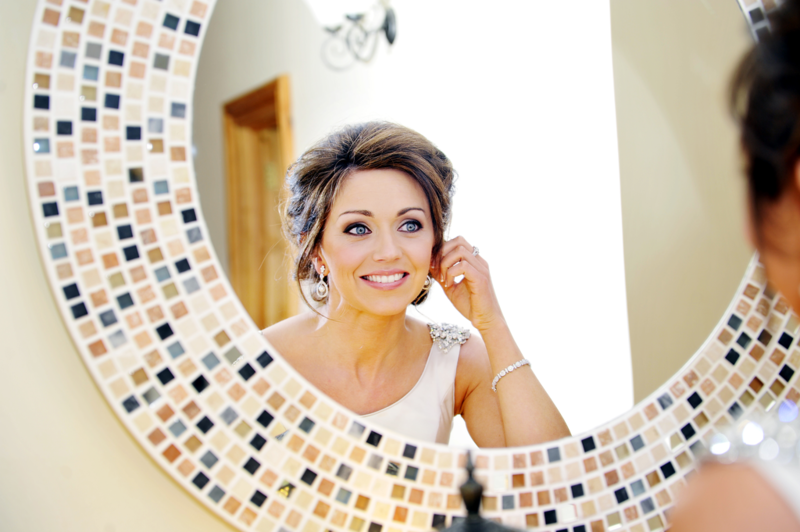 She was an absolute pleasure to work with. 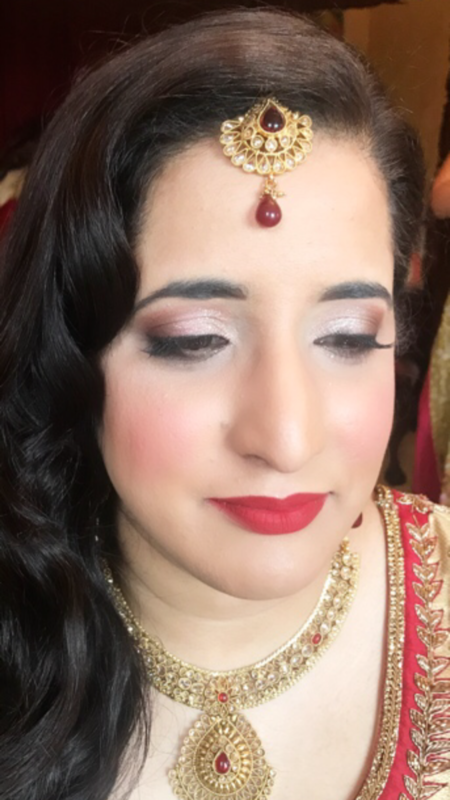 This was the second time I was lucky enough to have her apply my make-up for a big occasion as she had worked on my sister's wedding three years previously. 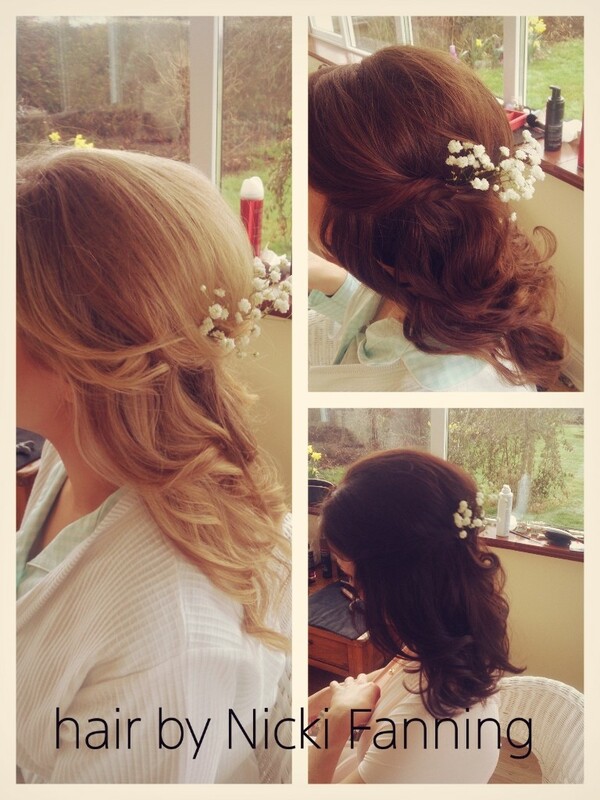 Her calm, soothing approach puts you at ease from the moment you sit in the chair. 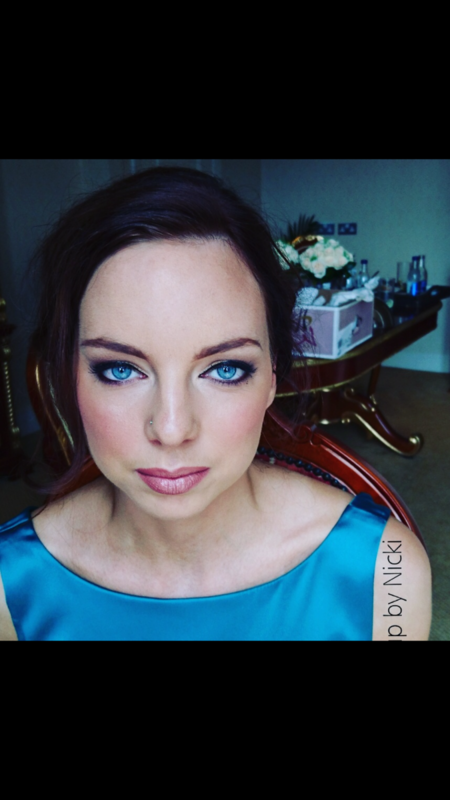 Nicki has a great eye for colour and respectfully listens to your requests. 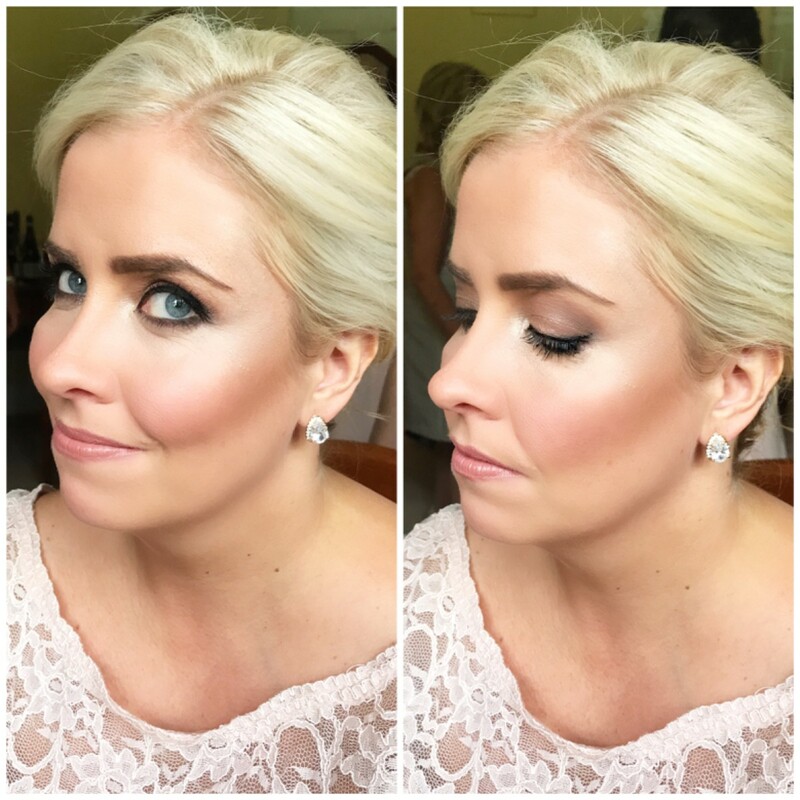 I didn't have to touch up my look once! 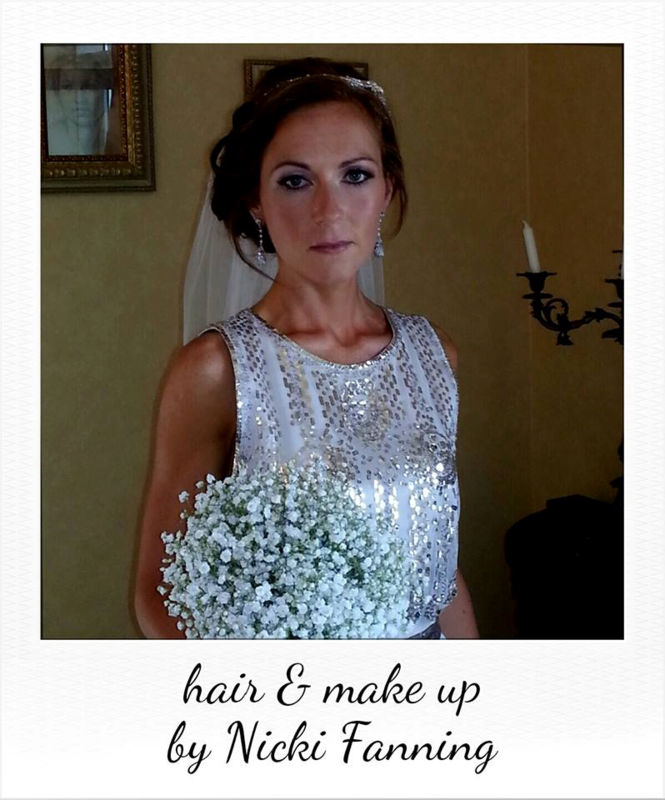 A consummate professional - I would highly recommend her for your big day. 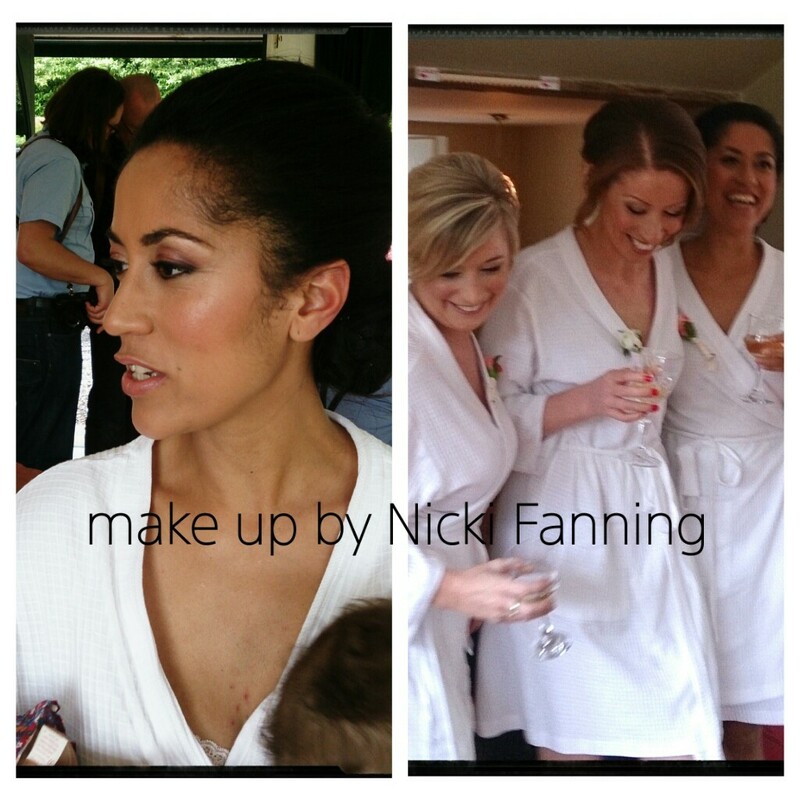 I booked Nicki to do hair and makeup for myself, my mum and 2 bridesmaids. She was so accommodating and listened to what I wanted during the trial. 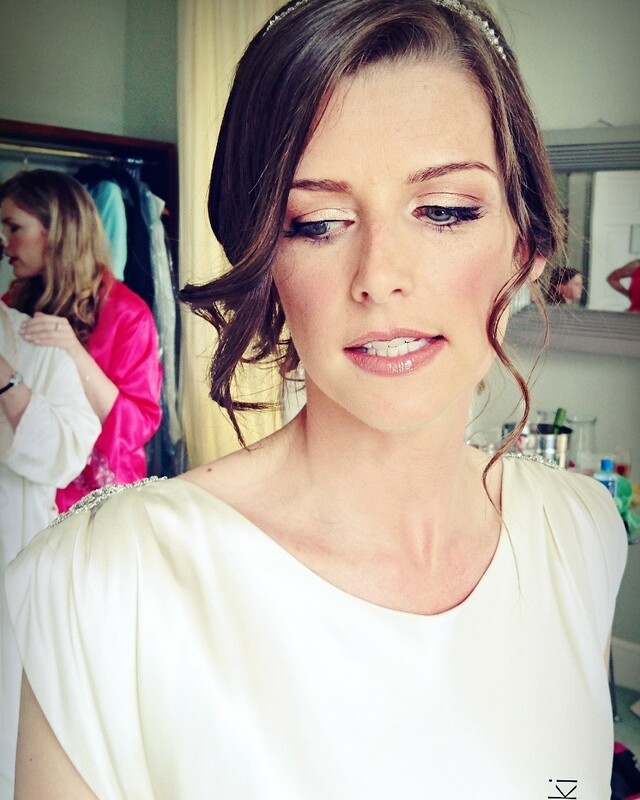 On the morning of my wedding, she arrived promptly when she said she would, and our hair and make up were stunning. 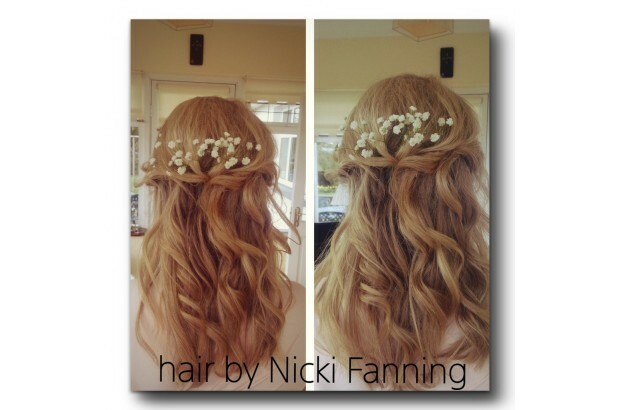 Nicki is so professional and delivered exactly what I was looking for - a very natural but flawless and elegant look. 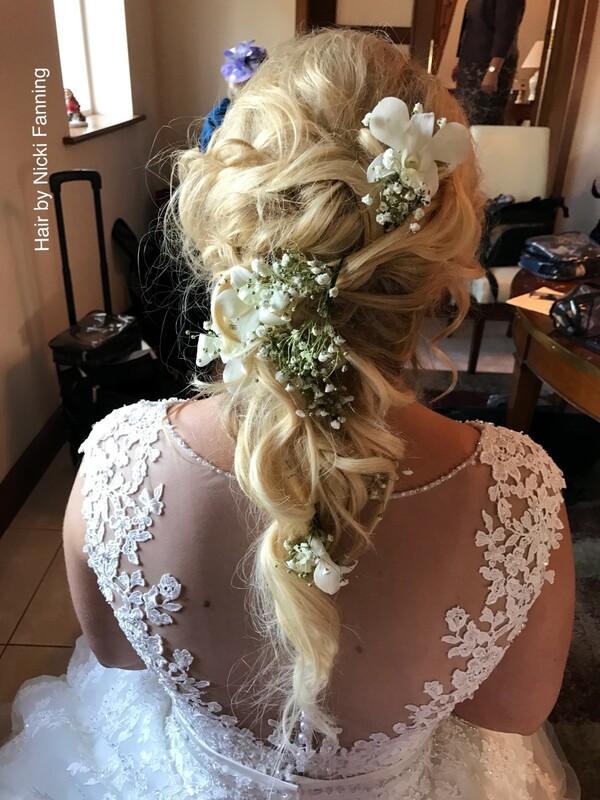 So many people commented on both hair and makeup on the day, and a friend has already booked Nicki for her wedding this year! 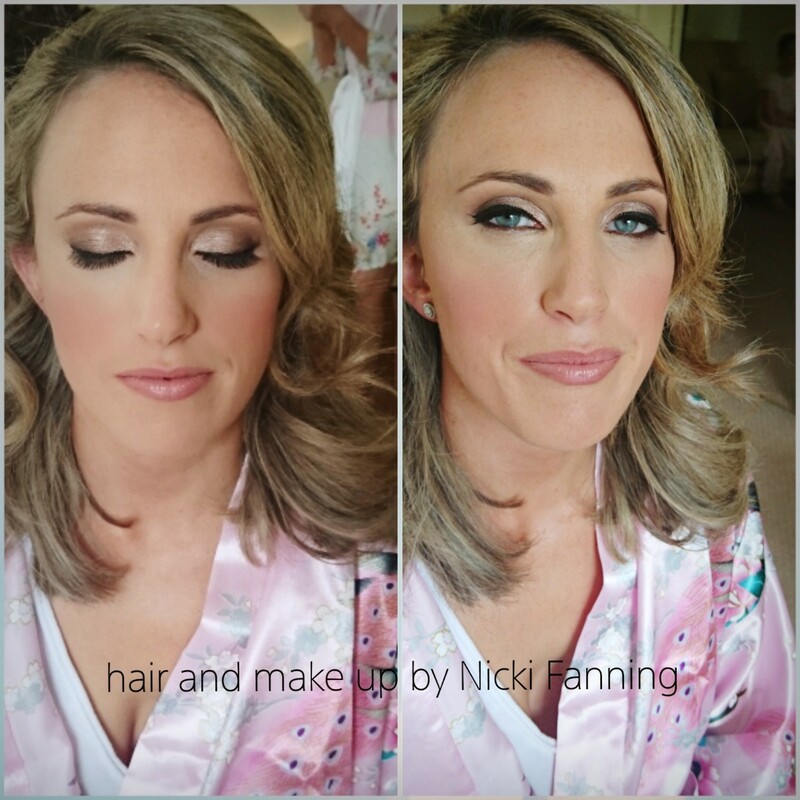 I would definitely recommend Nicki to anyoke, an absolute lady and true professional! 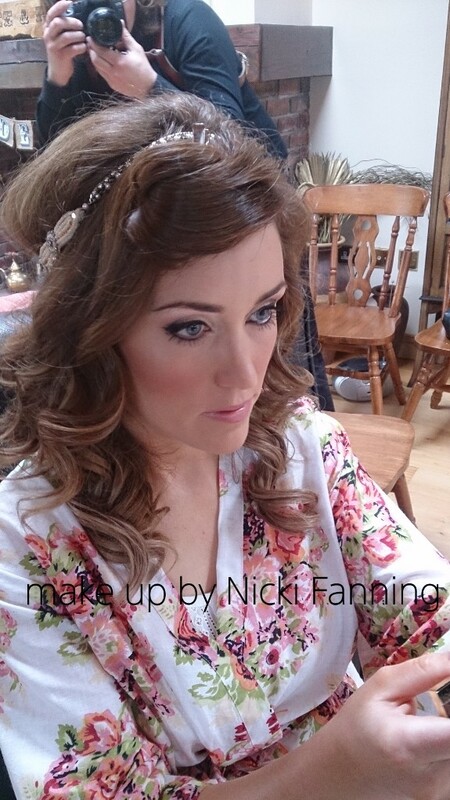 I had the pleasure of Nicki visiting my house on the morning of my wedding to do my make up, last July. 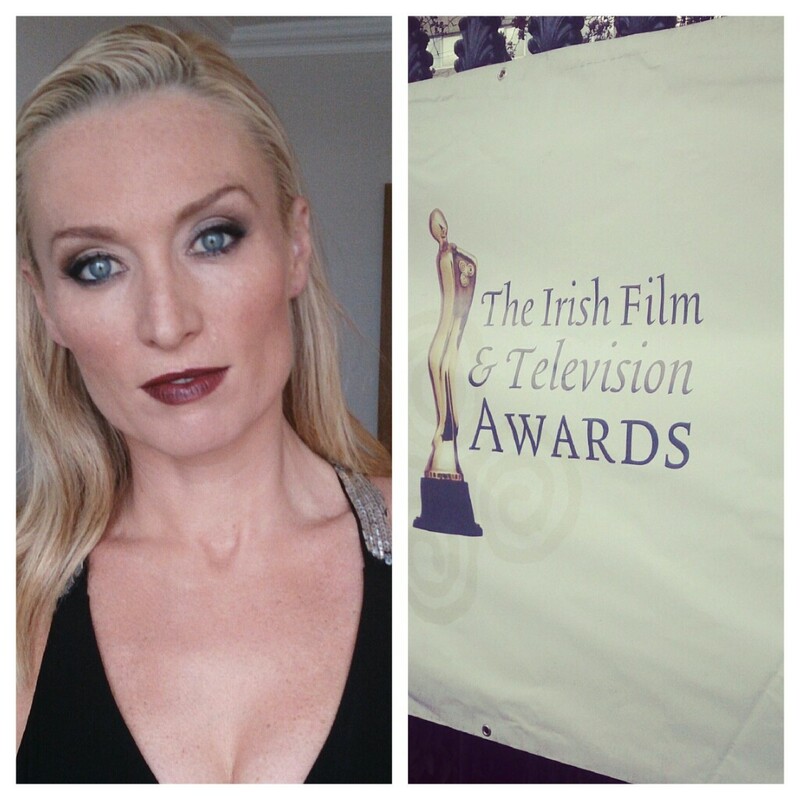 She traveled from Dublin all the way down to Tipperary. 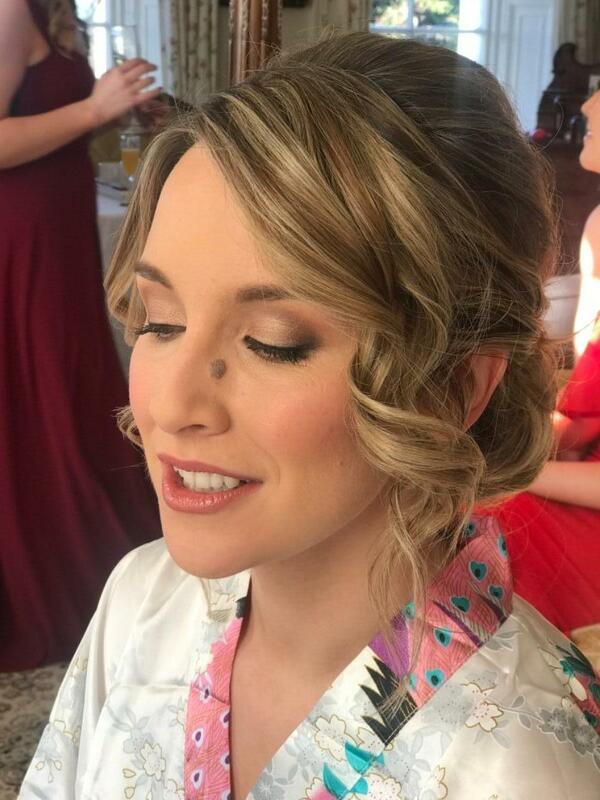 From the moment she arrived, she was so professional and kind. 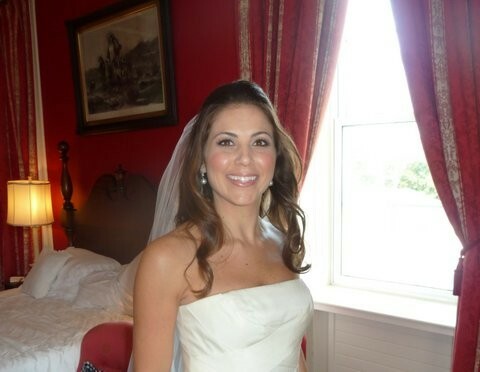 Her gentle manner was so lovely around the house that morning and helped keep us all calm. 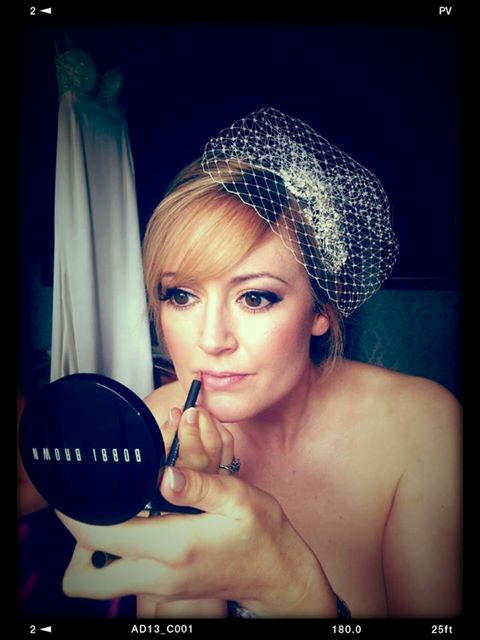 She did my make up along with my 2 bridesmaids and my mother. 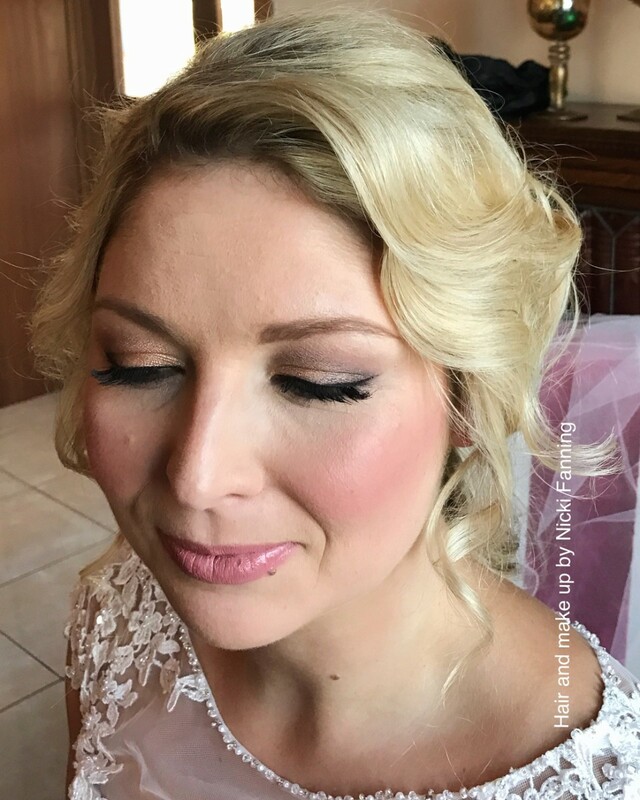 She listened to exactly what we wanted, and we were just thrilled with the result. 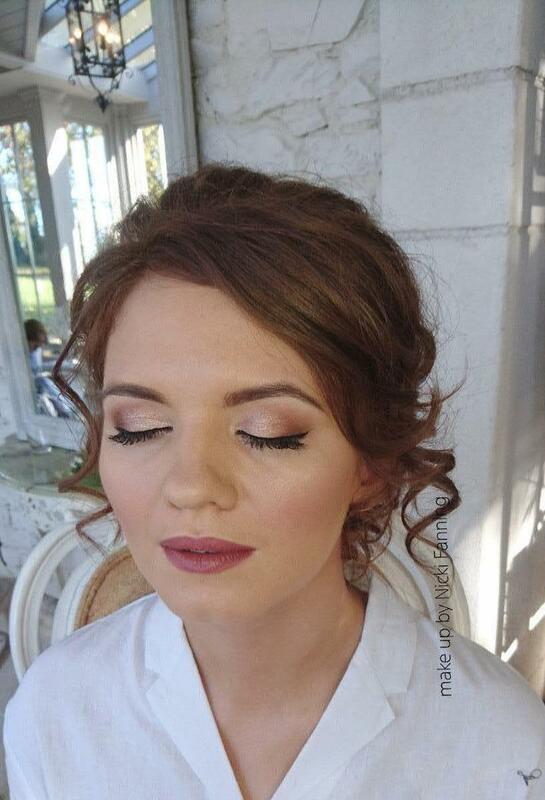 My make-up lasted all day and I didn't have to re-touch it once (which is very unusual for me!) 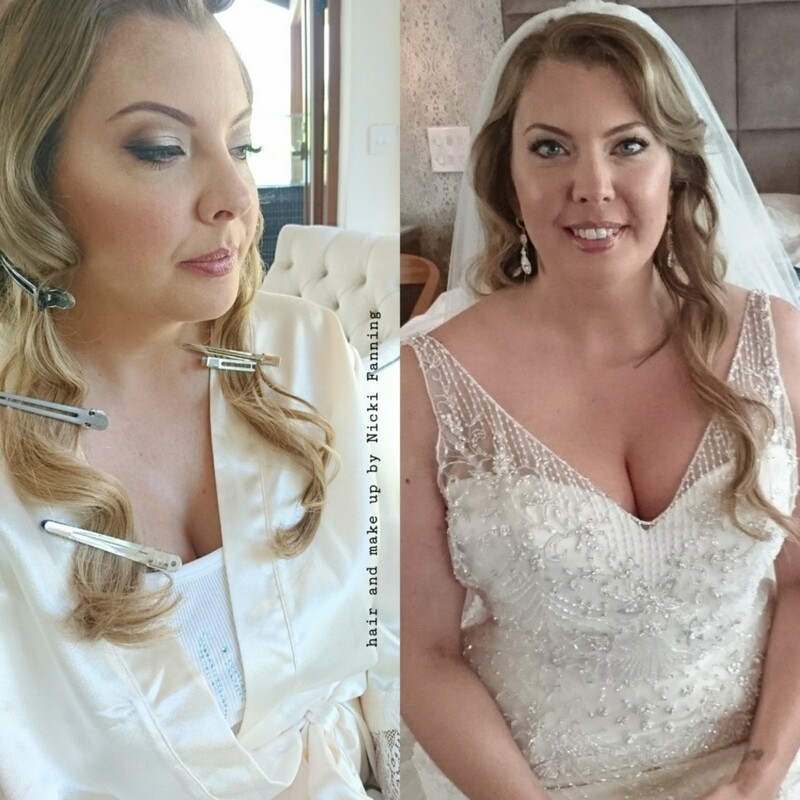 On the morning, she stayed until we were fully ready and re touched our make-up before we left. 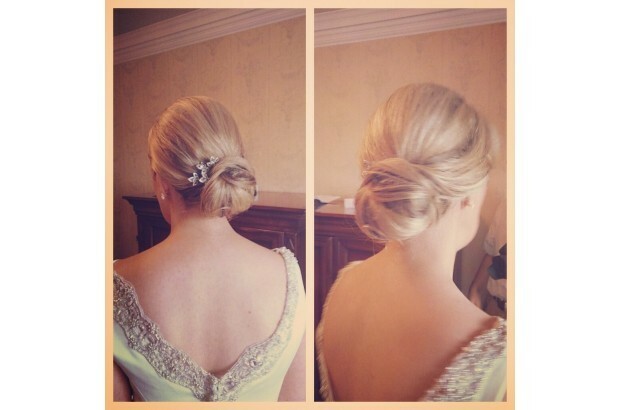 Even though she did not do my hair, she helped out in a hair crisis when the hairdressers had gone. 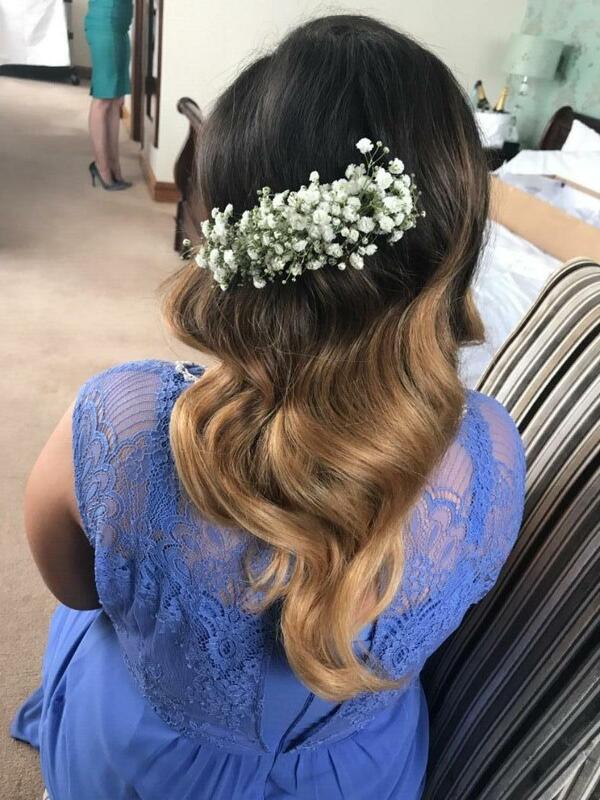 The highest praise I could give Nicki is that 6 months later when my younger sister was getting married, she immediately booked Nicki again, without hesitation!! 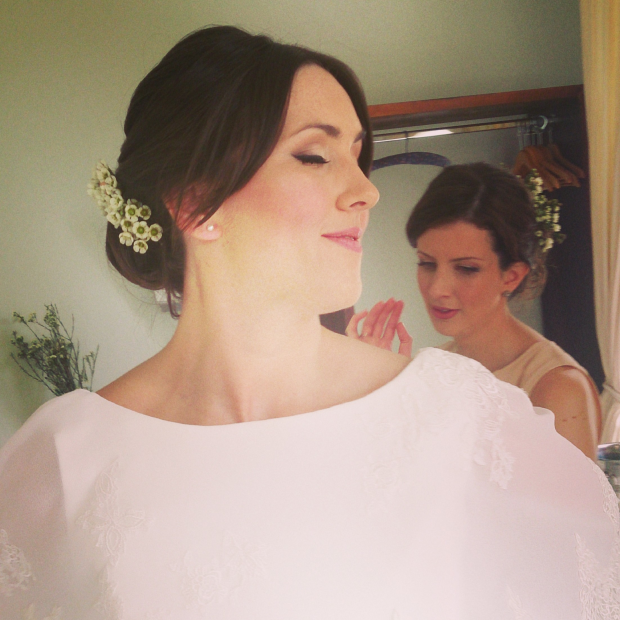 Yet again, we were so happy with our make-up on the day. 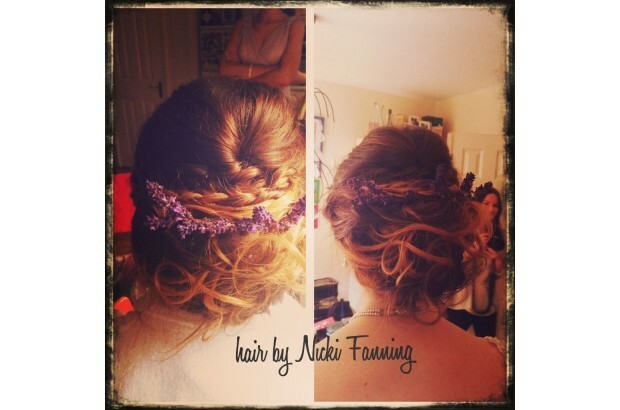 I was lucky enough to listen to a recommendation and after a reading a review, booked Nicki- trust me- You should too! 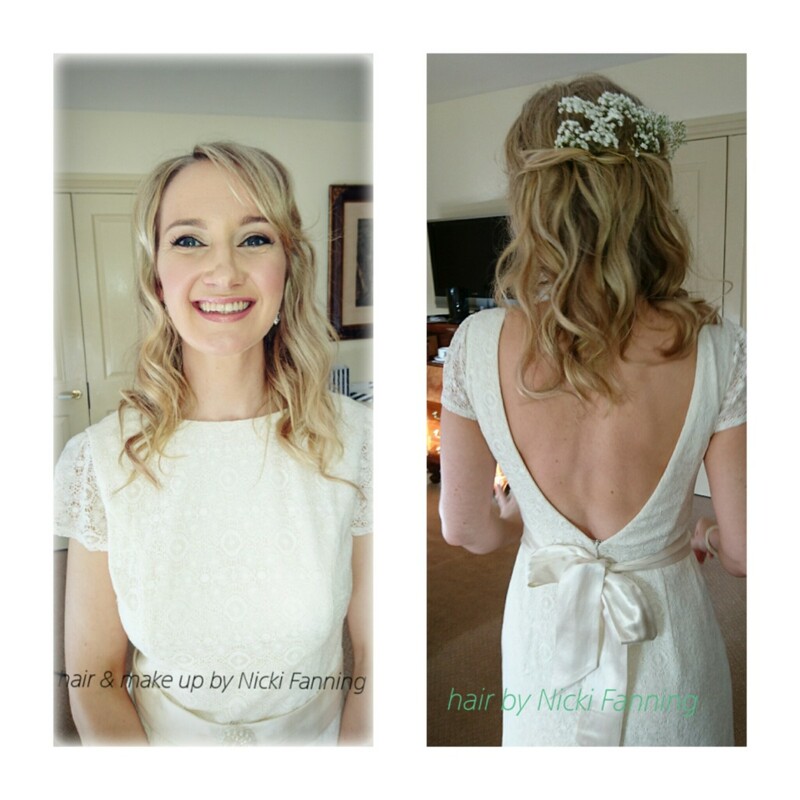 Nicki was a wonderful bridal hair and make up stylist. She listened to and took on board what I wanted for the day. I went through a process of trying things out and she was very patient with that. 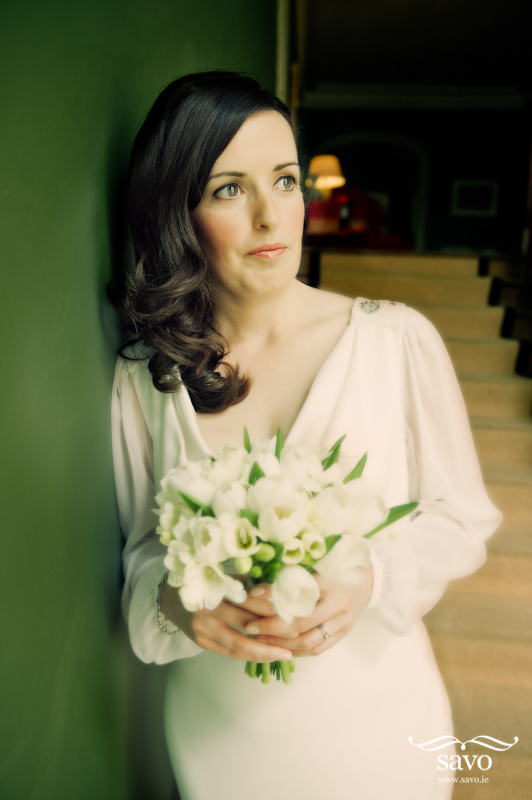 She gave me plenty of time before the wedding and always replied to emails and so on. Also she is very friendly and puts you at your ease! 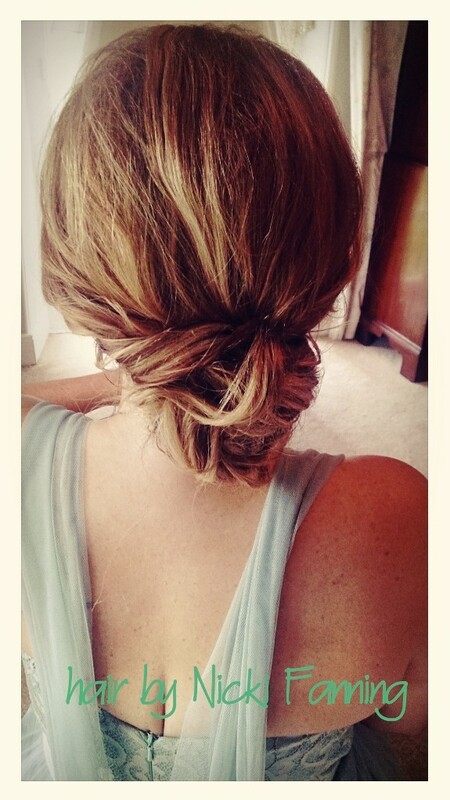 The added convenience of having just one stylist for me was an added bonus. 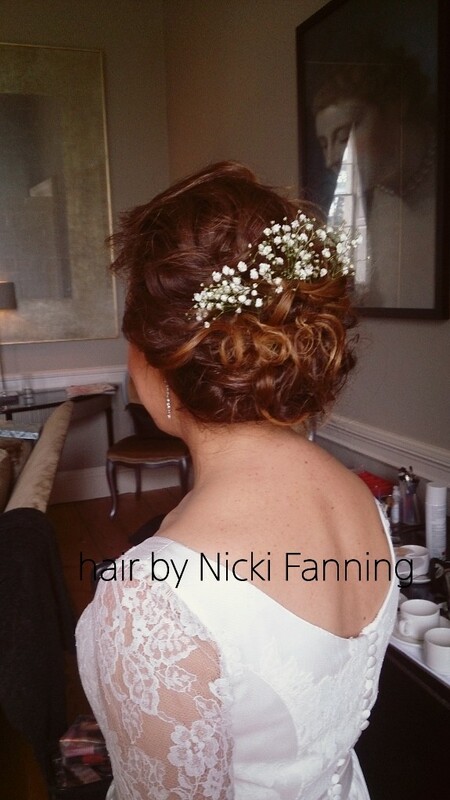 I would definitely recommend Nicki Fanning to any bride! Nicki is absolutely amazing...where do I even start?! 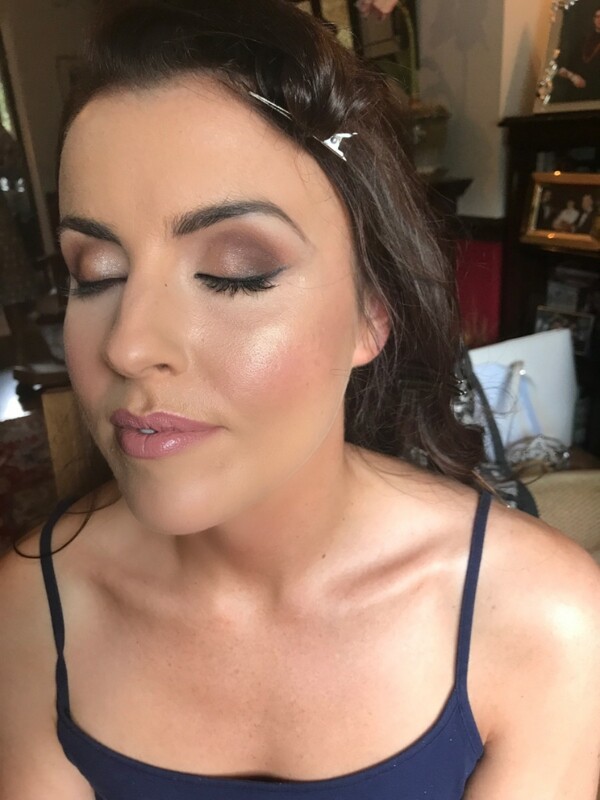 My sister used her for her wedding and there is no doubt in my mind that I would be using her when I eventually got married! 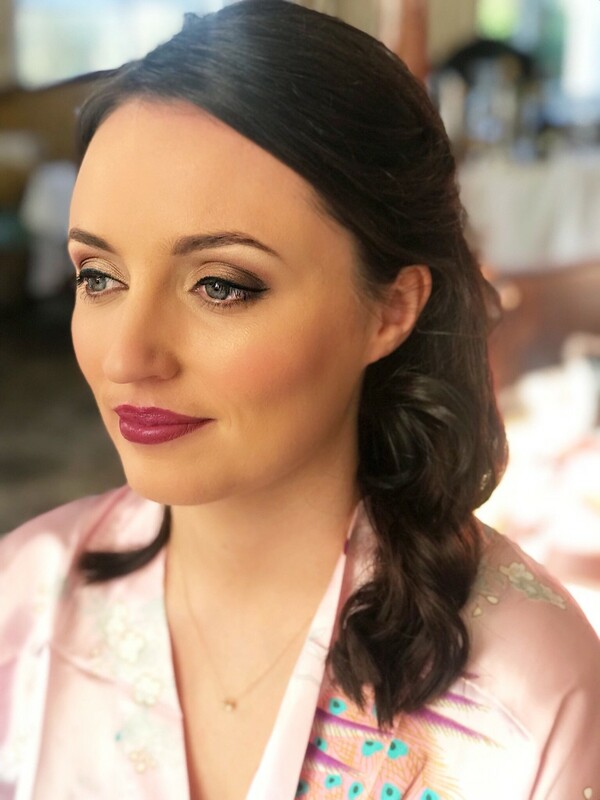 She spends a lot of time even doing a trial run with the bridal party making sure that everybody is happy and knows what to expect on the day. 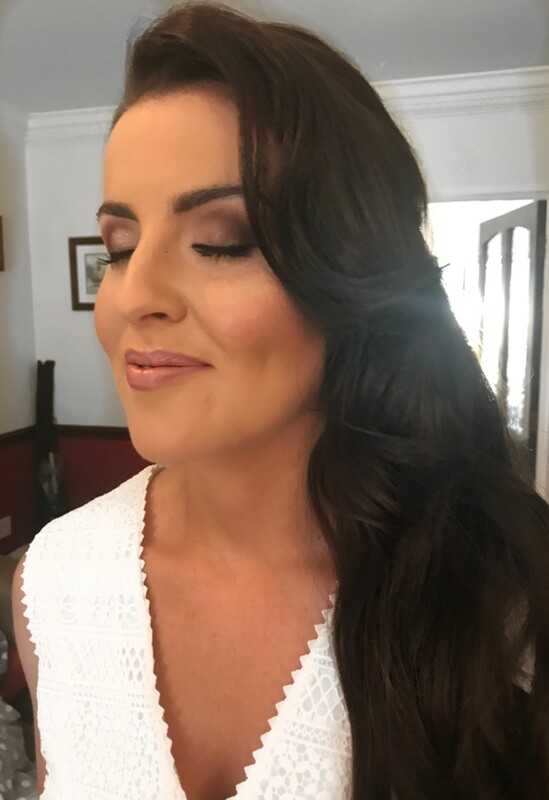 She is very flexible and travelled quite along way on the day..not only did she do hair and make up for myself and my bridesmaid but for my two sisters and mother aswell. All in a very short space of time but never felt like any of us were being rushed. 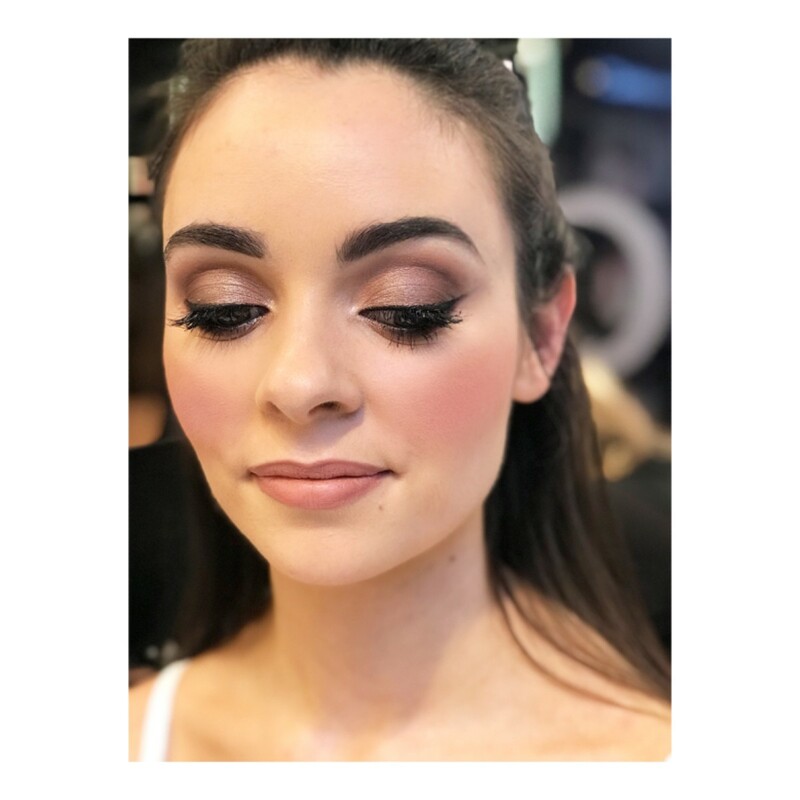 She listens to what you want and makes suggestions as to what would work best to suit you...you don't get the generic look that you see so often from recently graduated beauty salons. 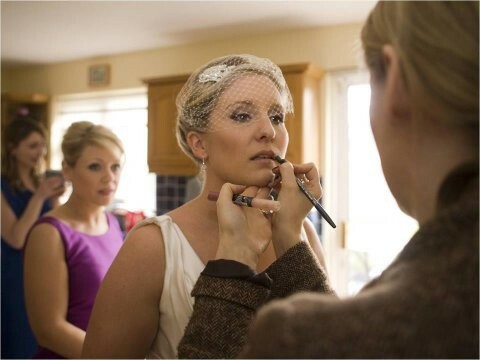 We all were so pleased with how we looked on the day,it was all nice and natural without looking plastered on and stayed on well the whole day. I could keep going on and on but once you choose her you will understand why! 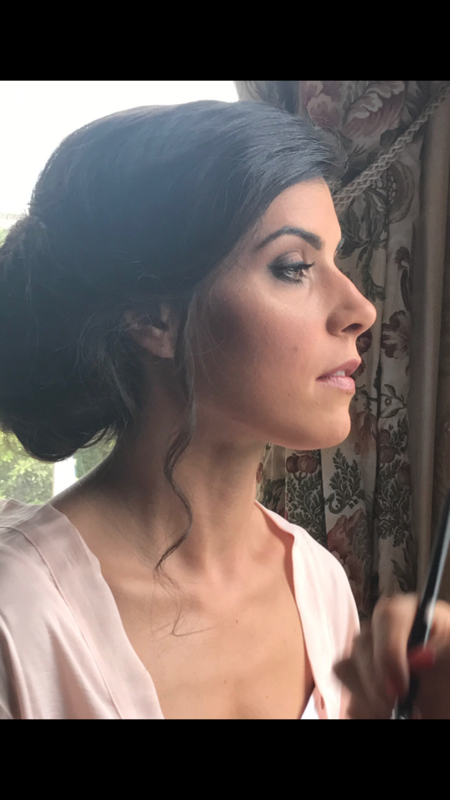 I got married in July and Nicki did myself and my bridesmaid hair and make-up.I am extremely picky when it comes to my hair and make up and I knew I needed someone great.Nicki was just that. 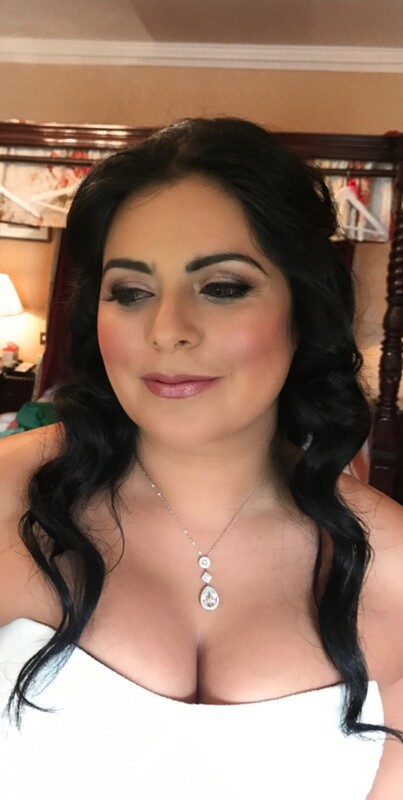 I was very weary of looking "over done" or having the cake effect but she listened to exactly what I wanted and created a very natural flawless look that looked amazing in the photos.My b/m was also thrilled with her make up and everyone complimented how beautiful it was. 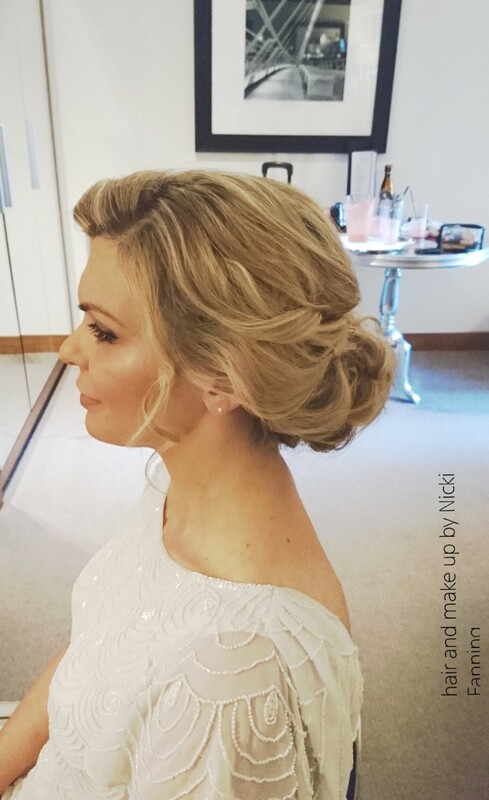 But Nicki's talents don't end there!She styled our hair, two very different looks(mine an upstyle and my sisters down).Again we were thrilled.Her creativity really shone!! 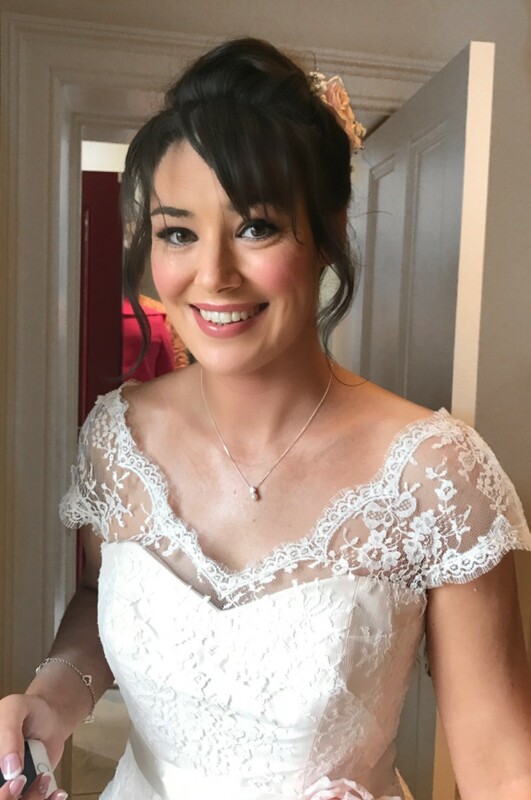 Nicki is a dreamsend to have around on your wedding day and in the lead up to it.She will come to your house or hotel as early as you want and will not leave until you step outside that door!! ( This also applies to your trials). 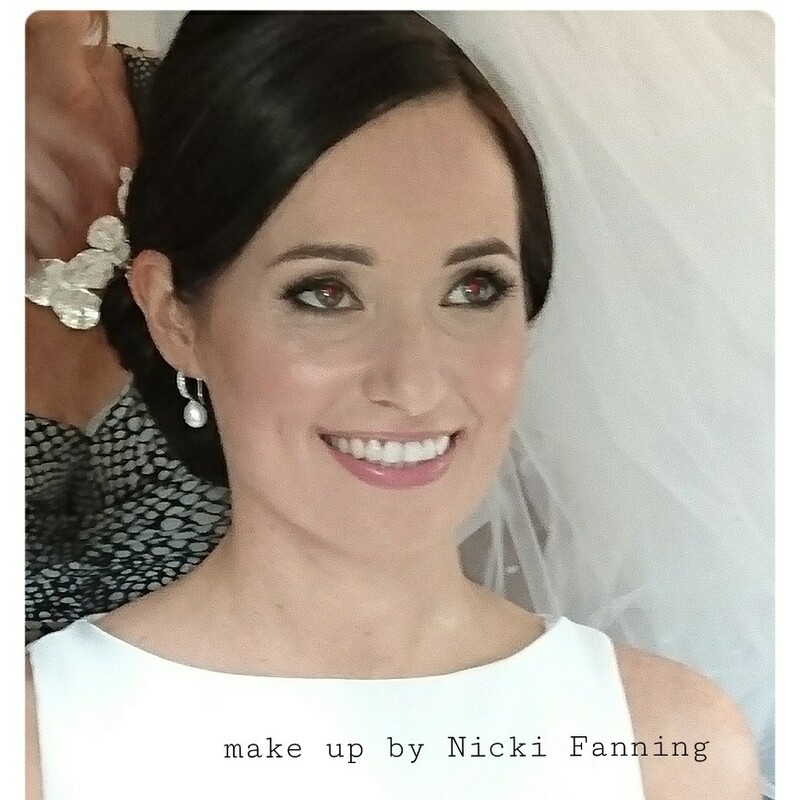 Nicki feels more like a friend as she gives you such a personal yet professional service and is more than willing to help you out with any last week emergencies or styling and accessories advice!! Choosing Nicki will be one of the easiest and best decisions you make. Cannot recommend highly enough. 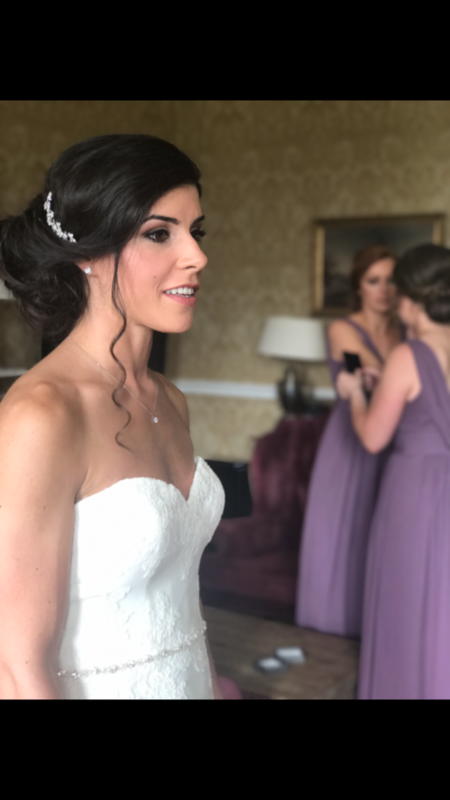 First of all apologies it has taken me so long to get around to writing this email - it's been nearly busier after the wedding than it was before!!! 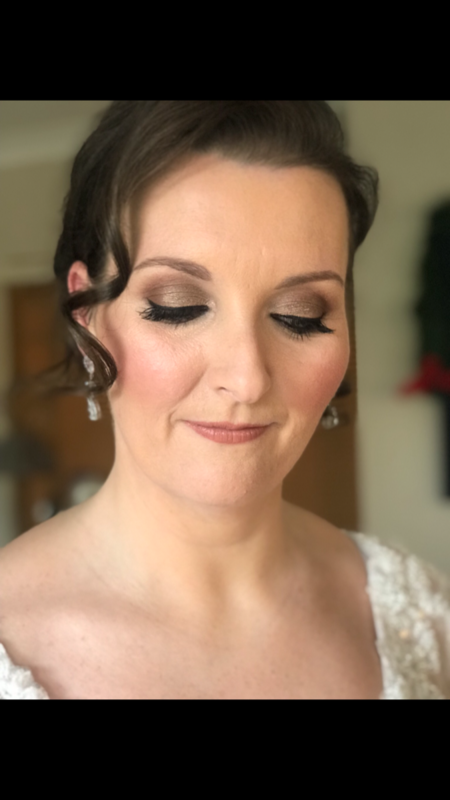 I just wanted to say a massive thank you for everything you did for my wedding - the girls and the two mums all looked so beautiful - everyone has commented on them - you are truly AMAZING with those make-up brushes and I couldn't have wished for anything better - it was perfect. 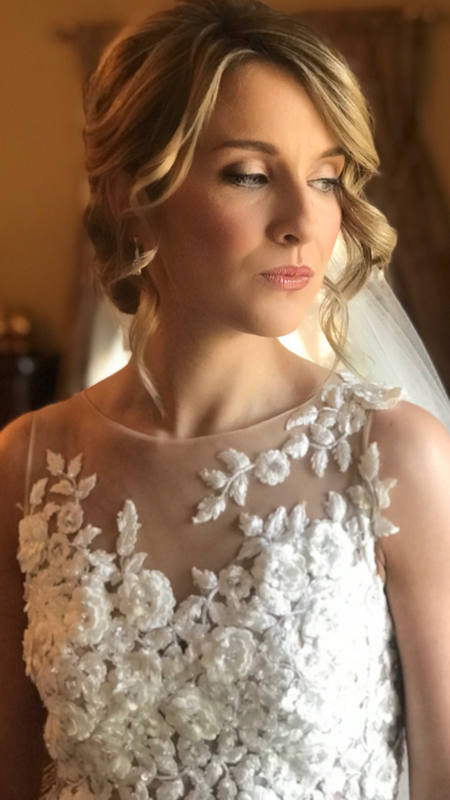 As for myself- what can I say - well the most repeated comment from people at the wedding and those who have seen the photos is " that's not really you" or " you look like Grace Kelly!" . I think that's pretty much what we were aiming for!!!! 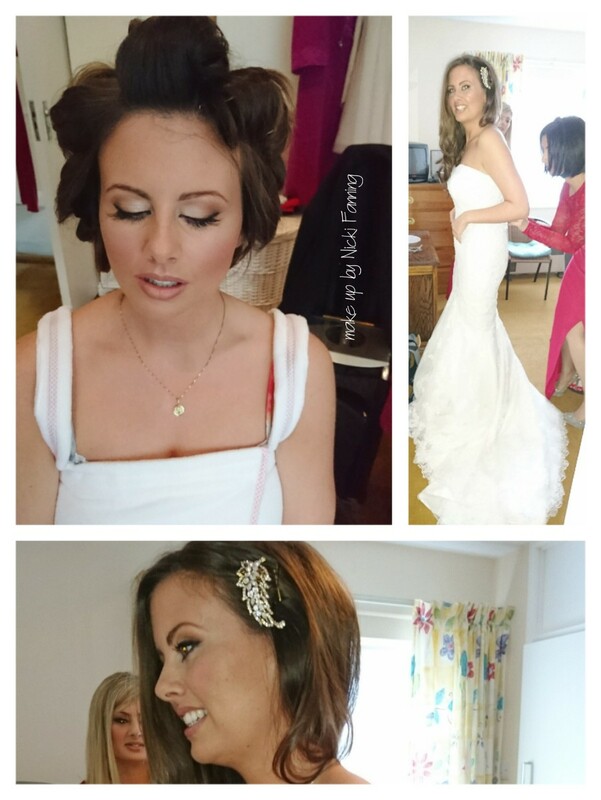 It was so beautiful - I felt like a movie star - and it's all thanks to you - you really made us all look so beautiful. 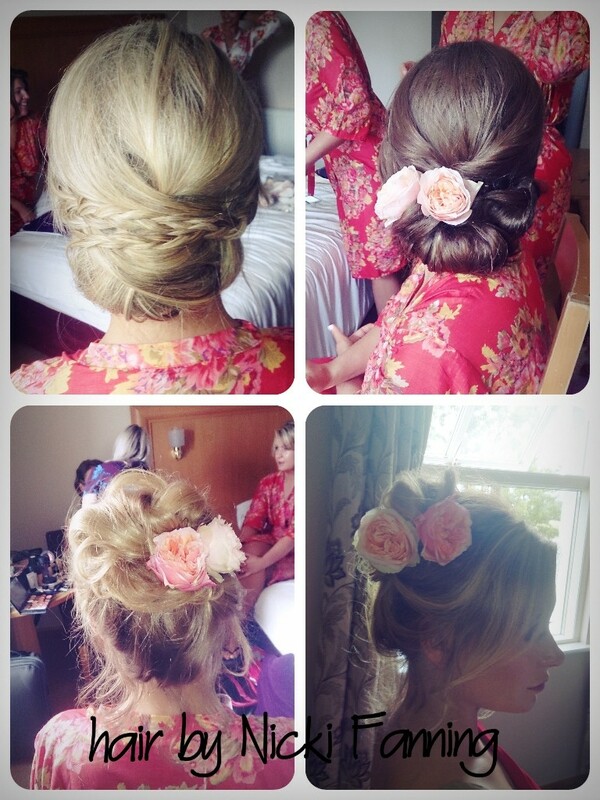 You were so calm and relaxed the morning of the wedding that it was infectious and helped keep everyone else in line! 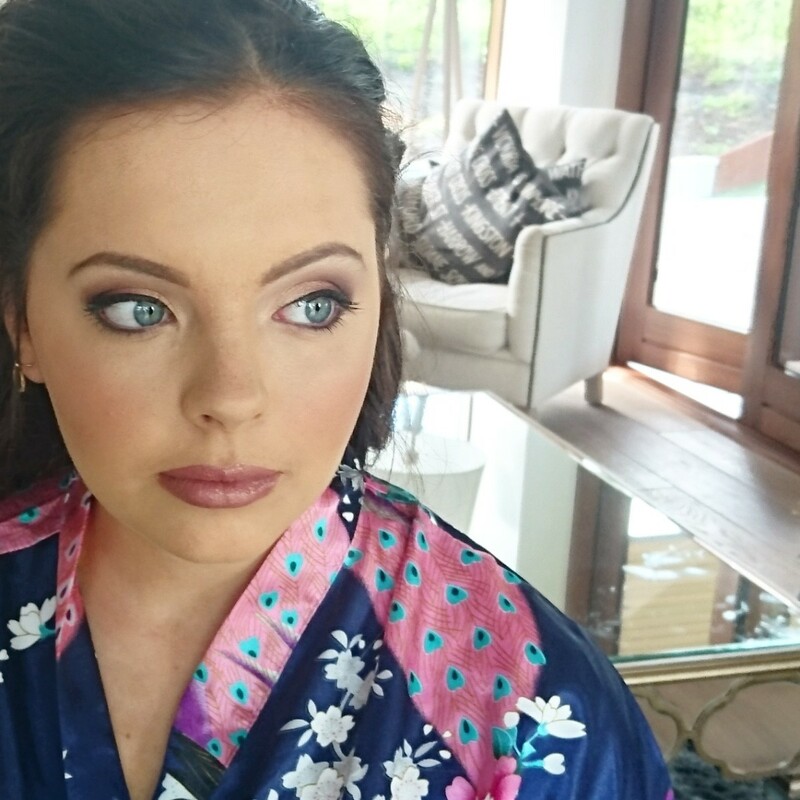 It was so lovely to have you there and I felt like you were part of the family! 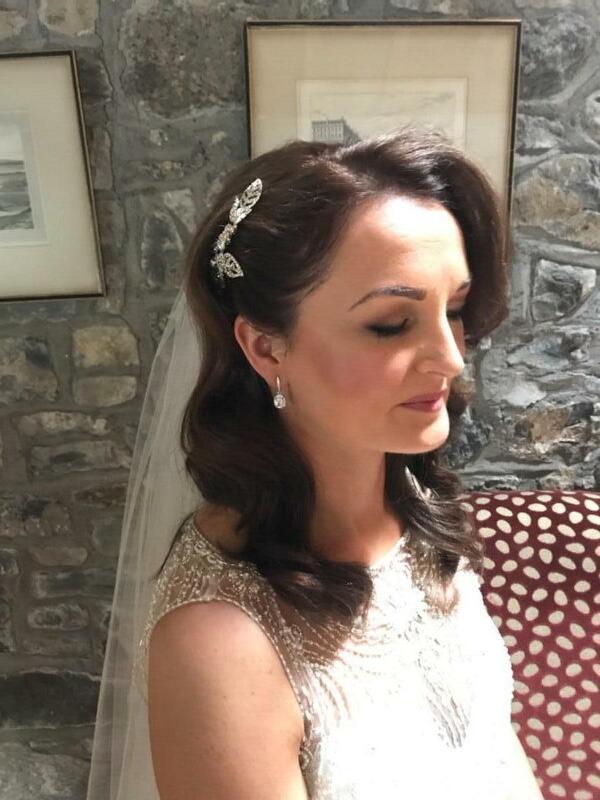 !I have already passed your number around to loads of potential brides - the hair and make-up totally surpassed the dress when it came to compliments - so thank you so much - you made be feel like the most beautiful girl in the world! Where do I begin with my thank you to you! 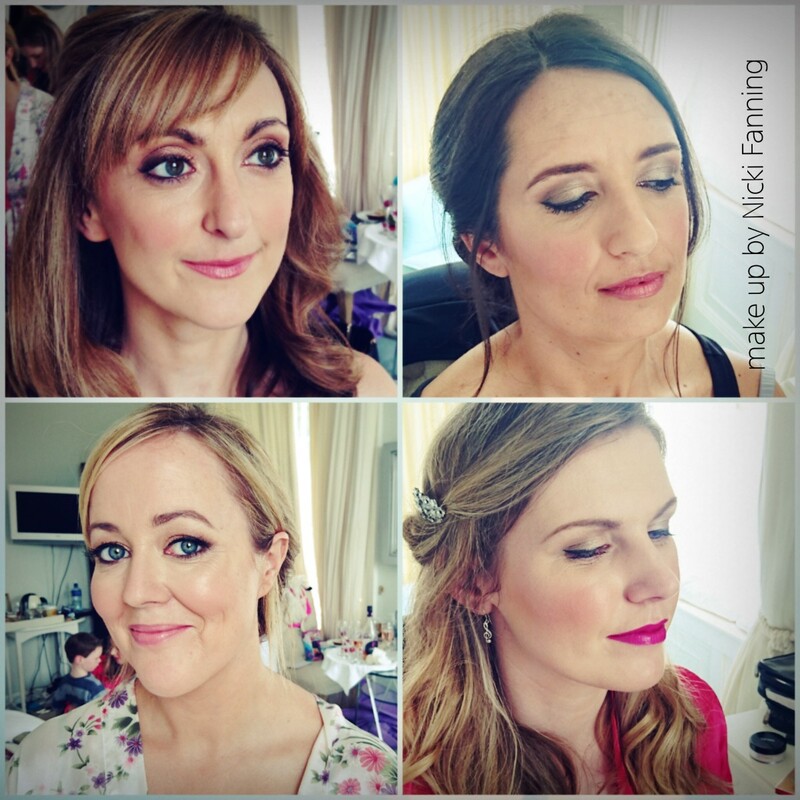 You were marvellous last Saturday and both myself and my bridesmaids were thrilled with how you did our hair and make-up! 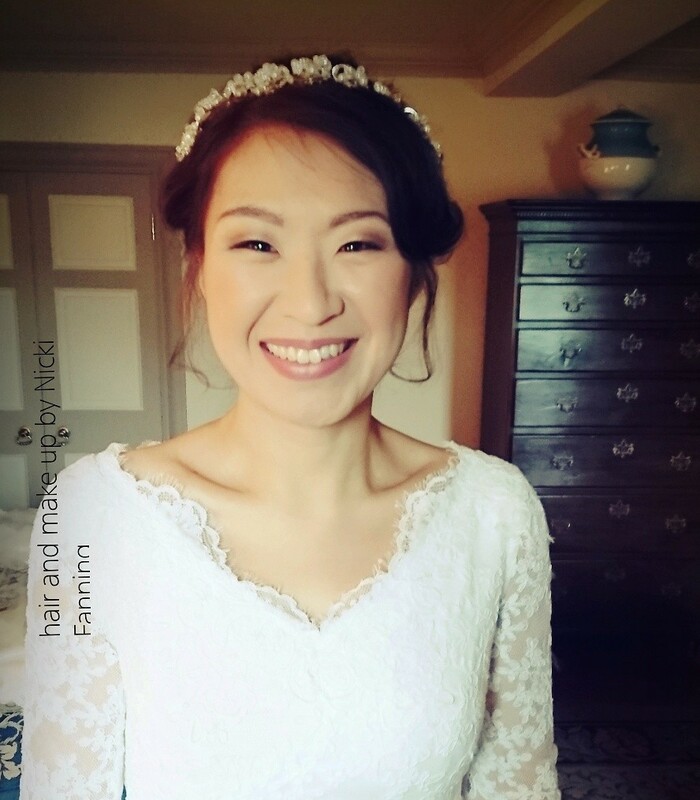 But more than that, you were a great tonic for wedding morning flutters and kept us all laughing and chatting - all the wedding stories you told and your general sense of calm and professionalism really made us all feel relaxed and smiling at the centre of all the wedding morning rush to get ready! 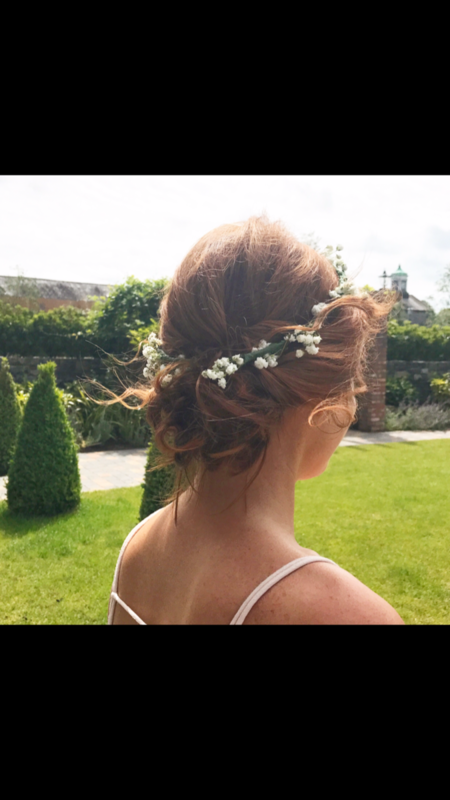 It was absolutely great to have you as part of the wedding preparation team and I will always feel that I struck very, very lucky with my web search for a make-up and hair professional for my wedding day! 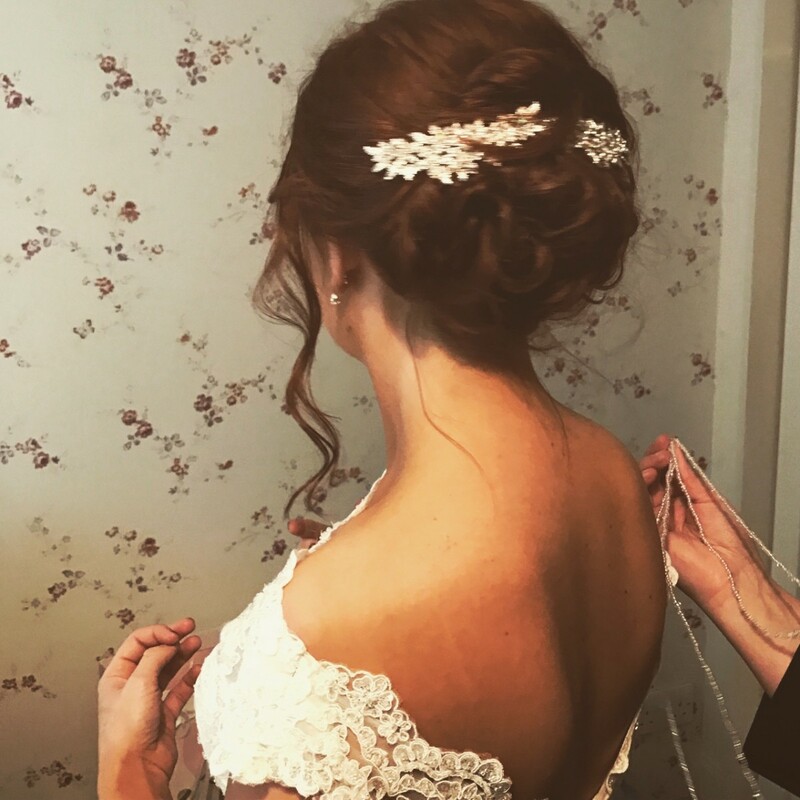 Thank you so much for all your help! 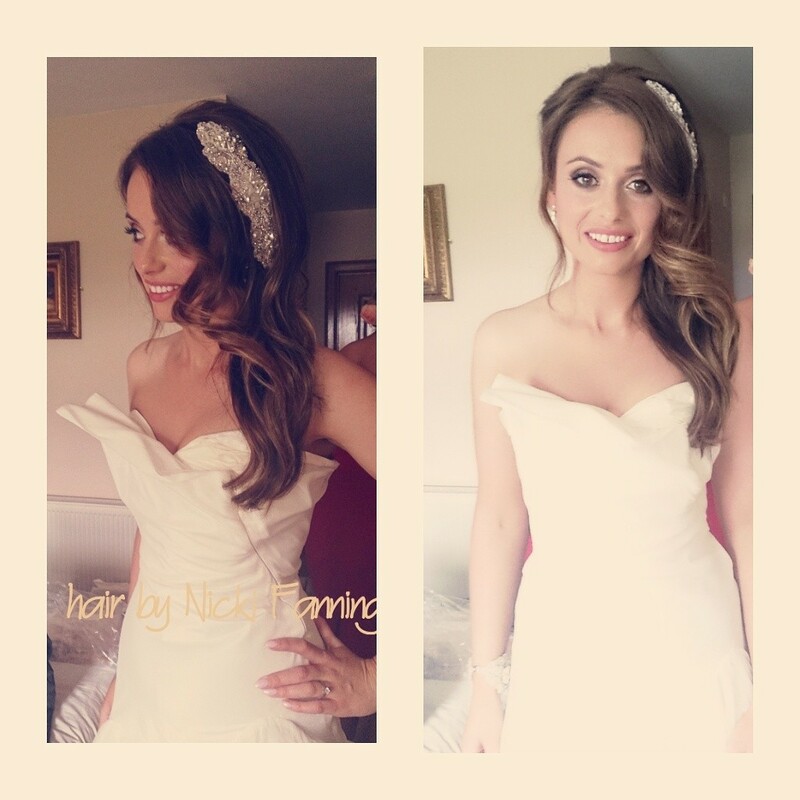 It was a wonderful day and created so many happy memories for both Nick and I and all our family and friends. 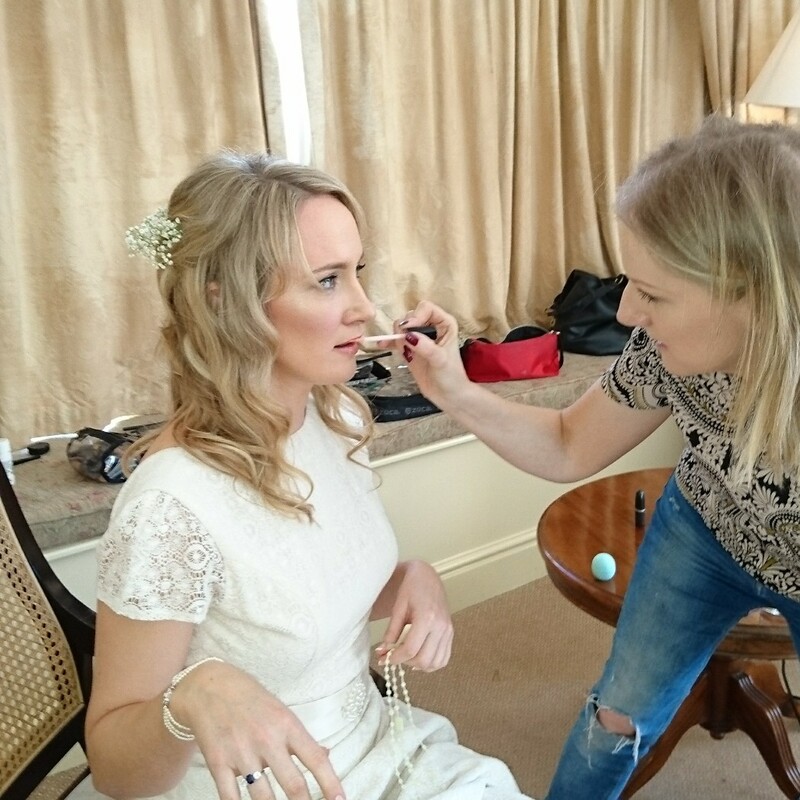 It was great to have you as the make-up and hair artist but you went well beyond that job with your advice about wedding organising and general help and jokes!